It looks like 2015 is here already! We can’t believe it but it’s true. We’ve really enjoyed the past year with all of the wonderful experiences and amazing friends that we’ve met! In December we were kept busy with many things. As usual the congregation was full of activity and our territory and calls kept us occupied! As we have been doing for the past three months, on the second Saturday of December there was an English meeting held in Durango, a neighboring town to Bilbao. The Durango service group consists of around 20 publishers yet they have consistently been reporting nearly 50 in attendance at the meetings. Some of these are interested ones and Bible students which is very encouraging to see. Kanicia and I had the privilege of visiting the Durango group during December for the public talk. We had been looking forward to it for some time since we don’t often get a chance to visit that part of our territory. We also have developed friendships with many in the group and we were looking forward to spending the day together. We were able to take advantage of the morning to meet for field service with the group. They had amazing support which shows the potential for future developments. 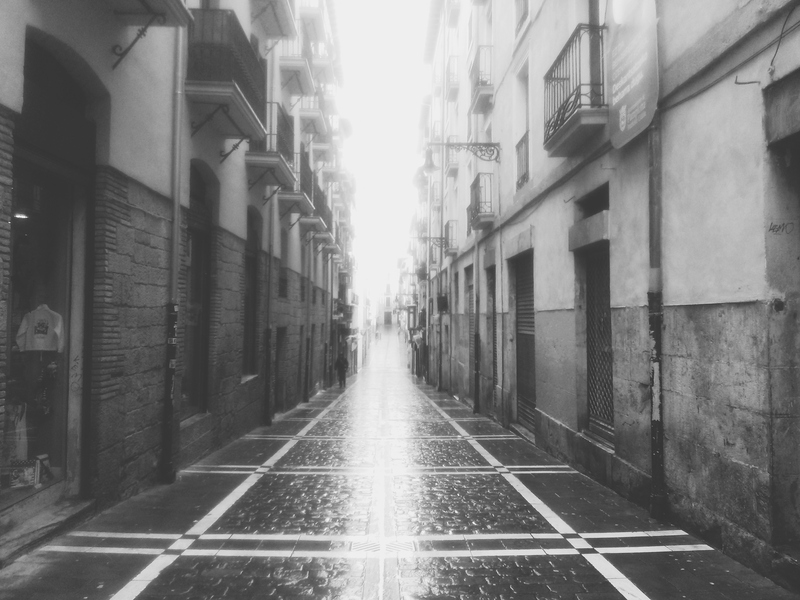 I was able to work with a brother in a neighboring town called Eibar. It was nice to be able to see a different area and also find different types of people in the territory. For example, in some of the areas that the service group focuses on there are many Filipino people who speak English. They are trying to be reached with the good news as well as others in the territory such as retired ones from the UK. The Durango group has the custom of having a group lunch before the evening meeting every month. 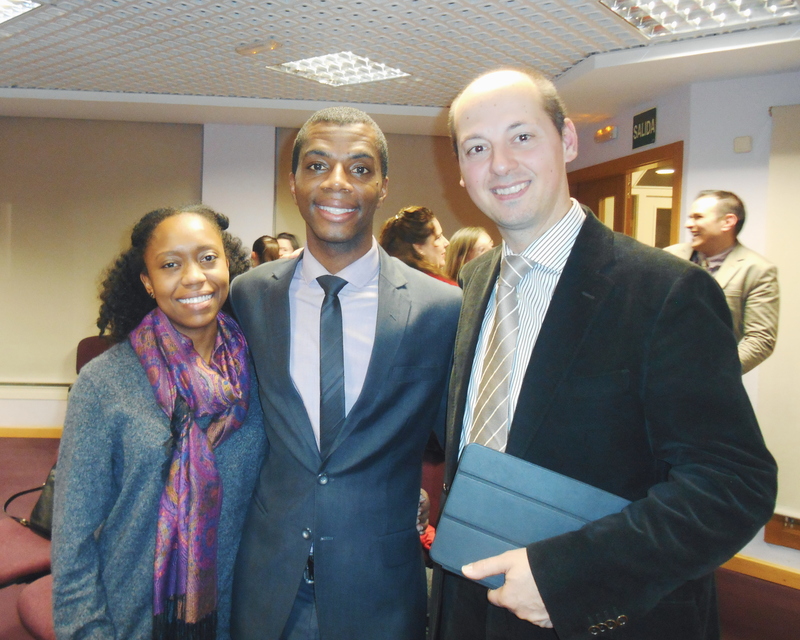 We were able to attend and enjoyed the association as well as the African and Spanish food. The brothers in the group had planned something special during the lunch. They had printed out the lyrics of the new song The Kingdom is in Place – Let it Come! One of the brothers in the group played the song on the violin and all of us were able to practice singing along. It was really fun to sing the new songs in a relaxed setting and with a smaller group. After the meal we enjoyed the public meeting together and some more time associating with the friends. It’s days like these that we are so thankful that we are here and part of Jehovah’s organization! 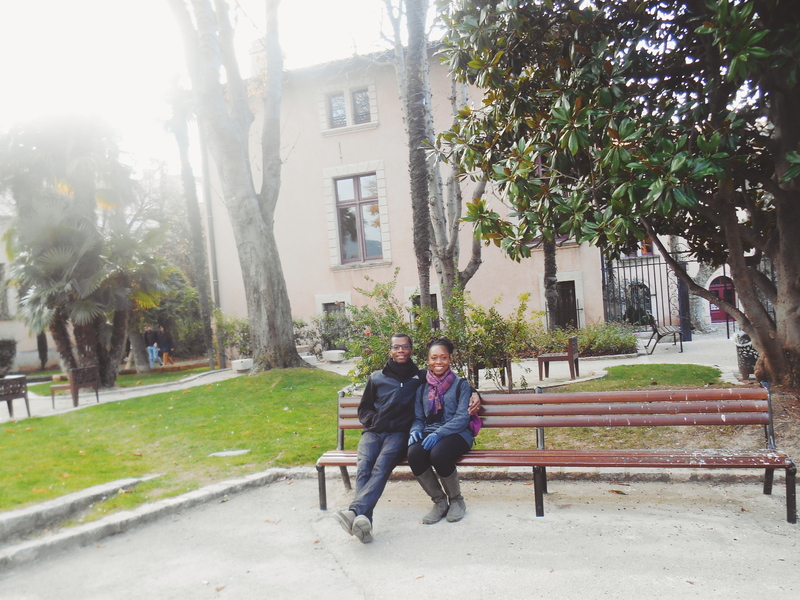 For sometime now we have been planning a vacation to visit Kanicia’s family in France. During the middle of December we were able to take our long awaited trip. We were so excited to be able to take some time off from work and our day to day routine. We had spent some time in France a few months ago but we stayed near the border and didn’t venture too far in. 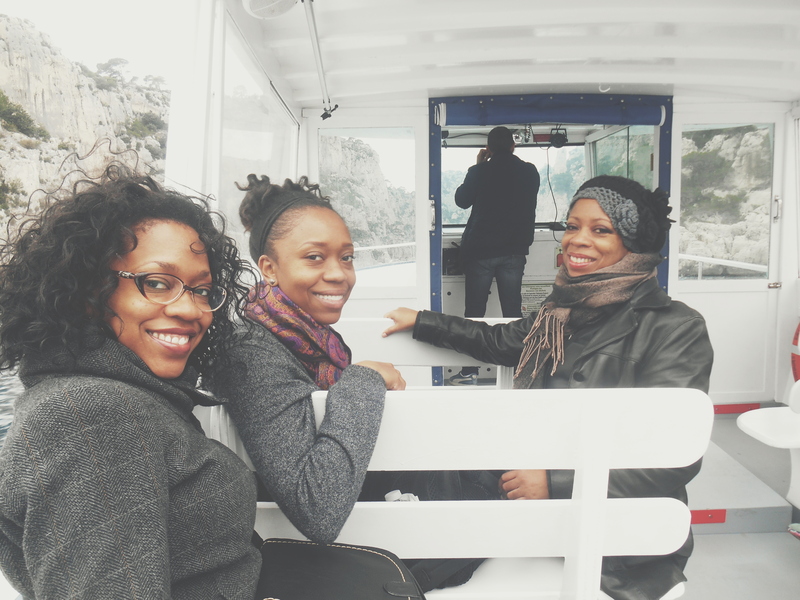 This time we would be traveling farther inland into the Provence region since Kanicia’s mom and sister live in Marseille. Kanicia has not seen her family for over one year. Before we could reach France, however, our journey began in Madrid. We picked up our rental car on a Wednesday morning and we made our way towards Madrid which is around 3 1/2 hours away by car. The reason that we went to Madrid first was to take care of some paperwork and update some things at the French and American Embassies. 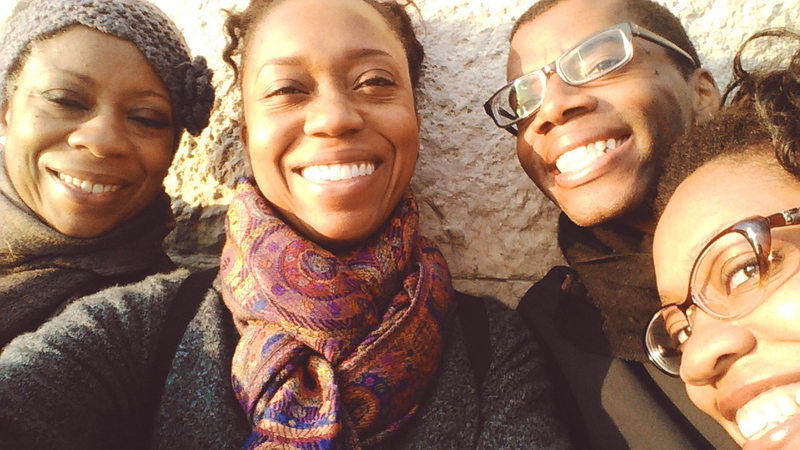 The trip gave us the opportunity to take advantage of visiting some friends and spending some time in the city. 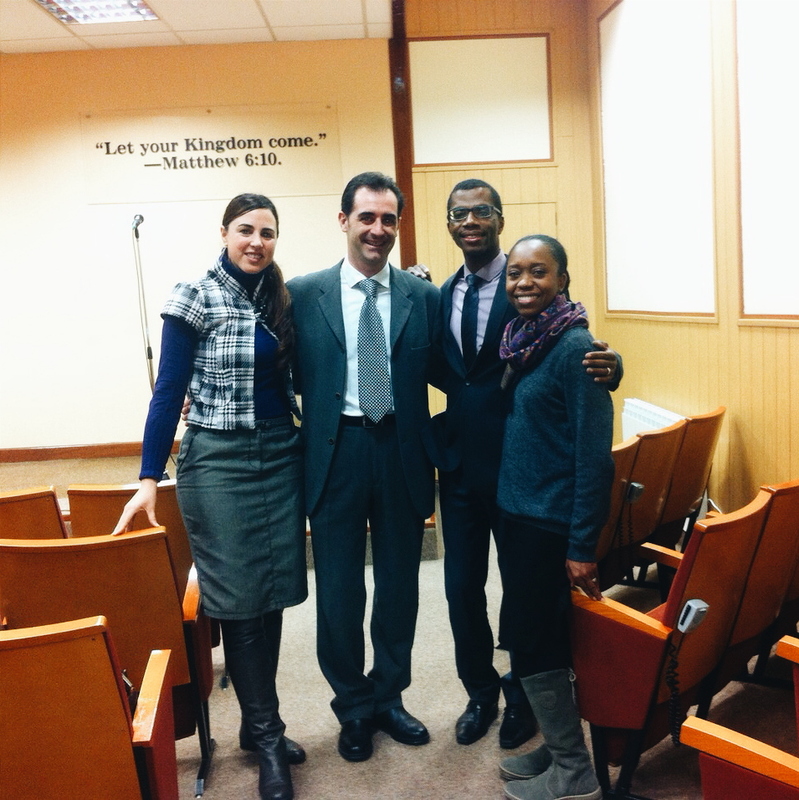 An elder and his wife that used to be in our congregation in Bilbao moved to Madrid a few months ago. It was great to be able to catch up with them and see how they are doing. Since they have their school and service meeting on Wednesday we were able to attend their meeting. The congregation that they belong to is closest to Bethel. This was apparent by the many Bethelites, International Construction Servants and friends from various places who were at the meeting. The congregation is very dynamic and due to the recent construction work that is taking place at Madrid Bethel they are frequently receiving new brothers and sisters. We met a very nice couple in the international construction work who were reassigned to Madrid from Zambia. They had just recently arrived and were getting used to the huge changes in their assignment. 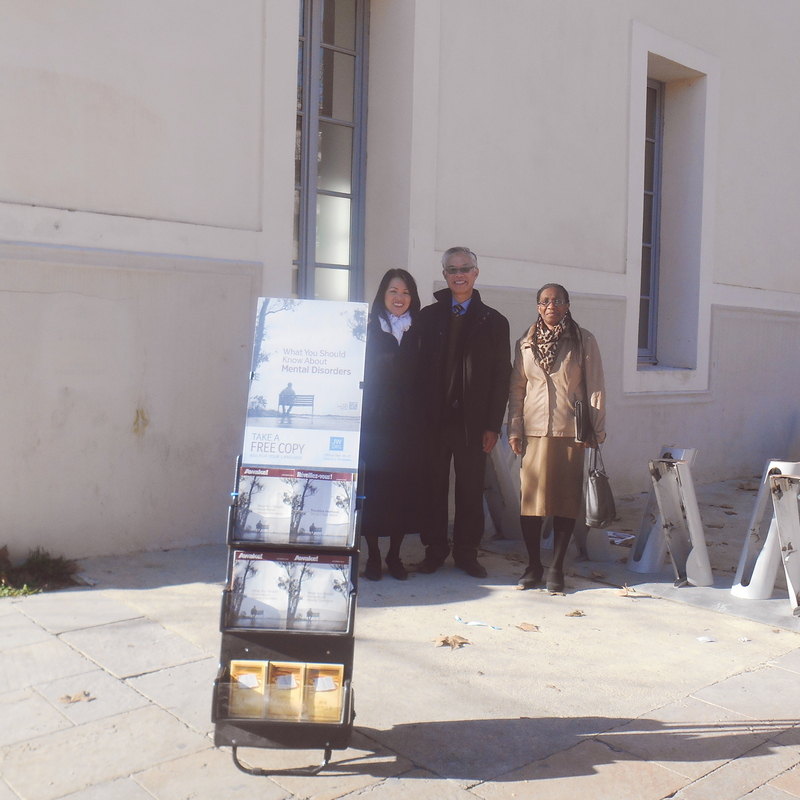 We also met an older couple from Scotland who have chosen to serve where the need is great in Spain. The meeting ran like clockwork and all of the parts were excellent since many of the brothers in the hall give assembly parts and have many years of experience serving at Bethel. The actual congregation is located in a residential area but it is like a multistory complex with four halls meeting in various languages. Once you enter the building it feels like you are in a Bethel branch. We were so happy to meet all the friends and to see abundant evidence that Jehovah’s organization is truly unlike any other! The next day we got up early and took the metro into the center of the city for our appointments with the embassies. What is nice about the metro system in Madrid is that it is very well connected to every part of the city. Since parking in the city itself can be next to impossible we were very happy to be able to use public transportation. After making our appointments and taking care of everything it was time to have some fun. On that note, it was such a pleasant surprise to have quick, efficient and friendly service while dealing with the French and US embassies. This is in comparison with our experience with Spanish bureaucracy. We have come to the conclusion that you will most likely have a better experience dealing with a country when you are doing it while living in another country as opposed to in the country itself. It’s like they go out of their way to be nice and to do their job correctly. That seems to have been our experience at least. Now, back to the fun stuff! Since the embassies are located in the center of the city we were not far from many popular tourist attractions such as Plaza Mayor, Prado Museum, Gran Via and other landmarks. The weather was fantastic to our great surprise since Bilbao was cold and wet. 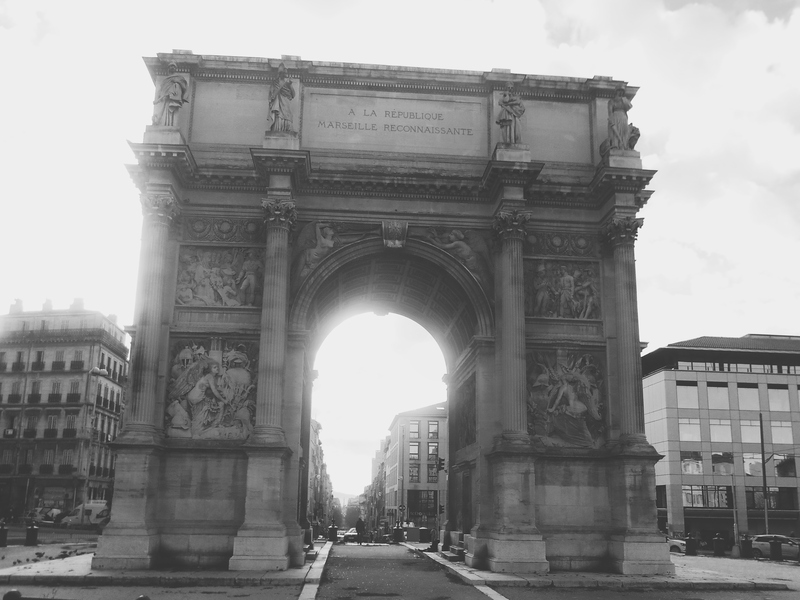 We took the opportunity to stroll along the Gran Via and take in the sights. 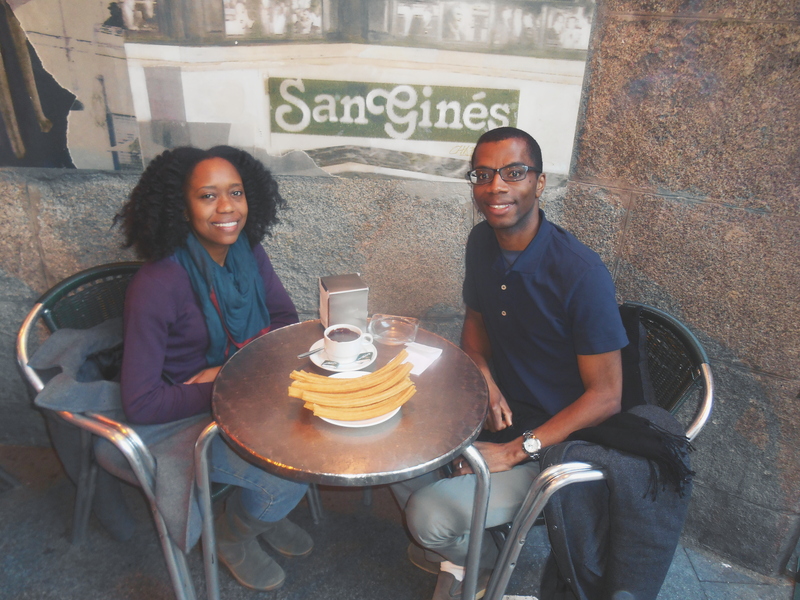 We were heading towards Plaza Mayor to have what is supposed to be know as the best place to have chocolate con churros in Madrid, a place called San Ginés. On our way there we further realized just how big and busy Madrid is in comparison with Bilbao. 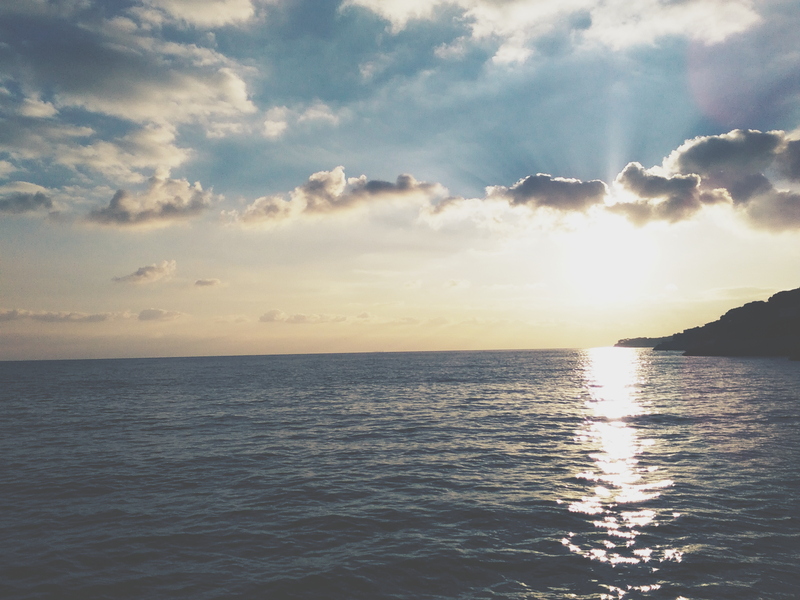 This made us thankful that we don’t have to deal with “big city” life on a daily basis. 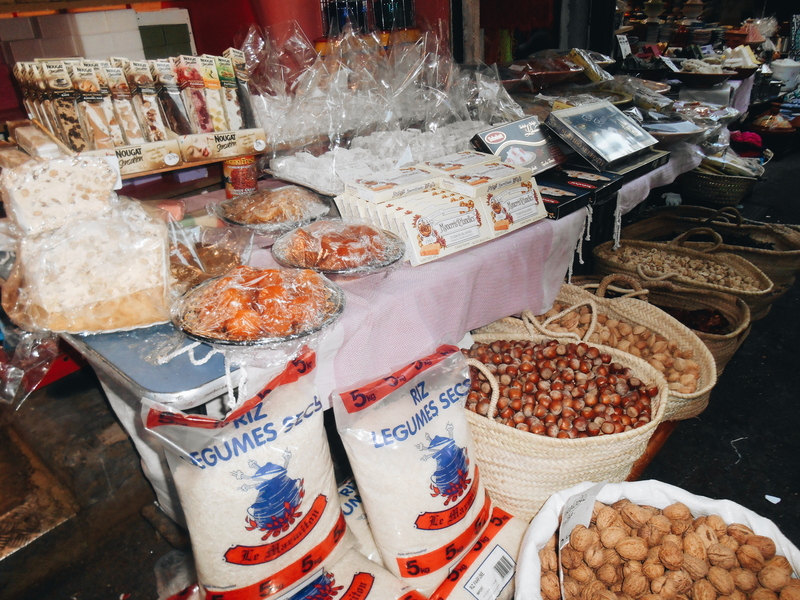 Once we reached Plaza Mayor we were greeted by a multitude of Winter Markets in the center of the Plaza. These are basically small little vendors that are inside of little cabin structures selling things ranging from clothing to food. What they are selling is more geared toward the winter season or the holidays. This is why these markets are also known as Christmas Markets. They seem to be quite common in Europe, with some of the better ones being in France and Germany. For our lunch we settled on bocadillos de calamari. It was funny to think that we were having the same sandwiches and sitting at the same fountain back when we first arrived in Spain in October, 2013. So much for trying new things. After enjoying our sandwiches and resting our legs we headed over to the Churreria just a few minutes away. We had high expectations for this place and for the most part they were met. The first thing that struck us was that they have multiple stories, outdoor heated seating and white aproned black tied waiters. 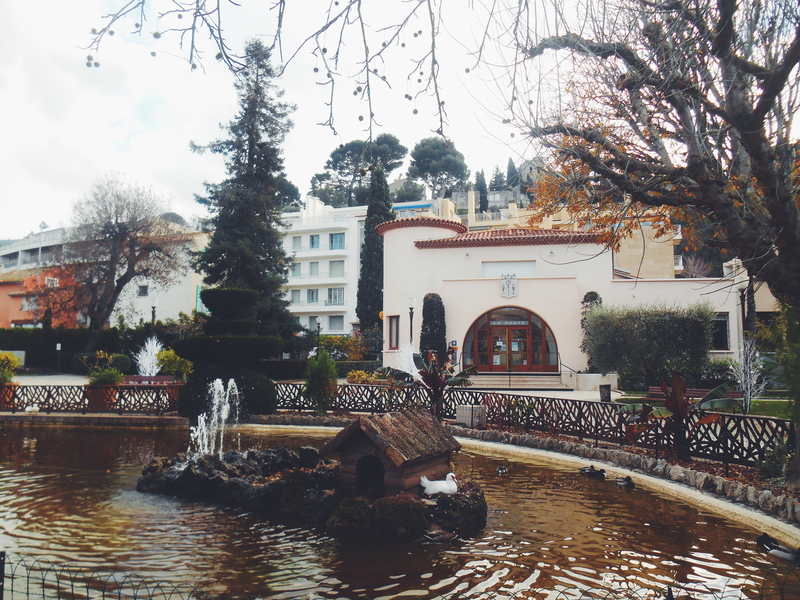 This was quite a fancy place to get chocolate and churros. We ordered a plate of churros and some chocolate. What a shock when the total came to under four Euros! We are used to easily paying twice that in Bilbao. We went outside and chose a table as a friendly, smiling waiter soon brought our churros and chocolate. Remember we are still in Spain, so to have a friendly and smiling waiter is quite remarkable! The churros themselves were huge and oddly enough they don’t put sugar on them. I’m not sure if this is something that is unique here or what. They were good although not as sweet as the ones in Bilbao. Overall it was a good experience, if not for the ambiance alone. 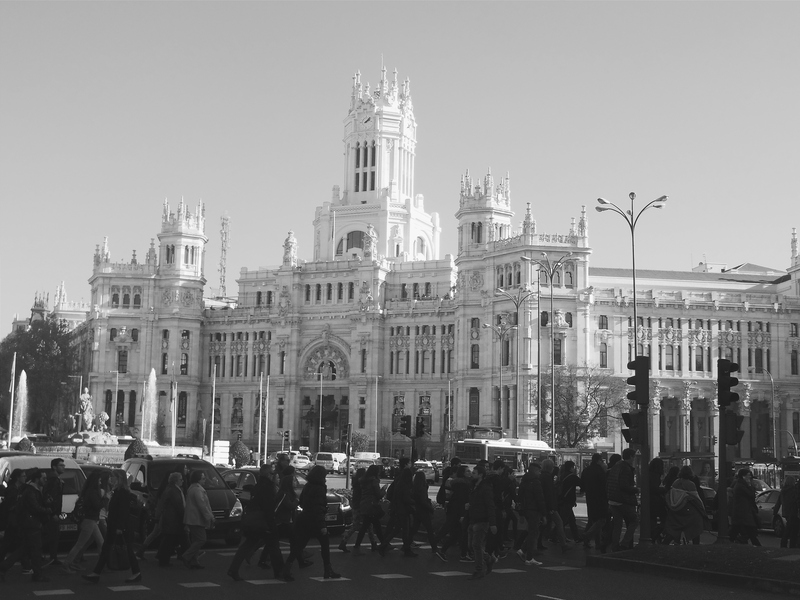 We would recommend it to anyone visiting Madrid. Now let’s go to France! Before leaving for France we made it back to Bilbao to get a good night’s rest since we would be on the road for quite some time. Friday morning had finally arrived and after packing up we hit the open road. 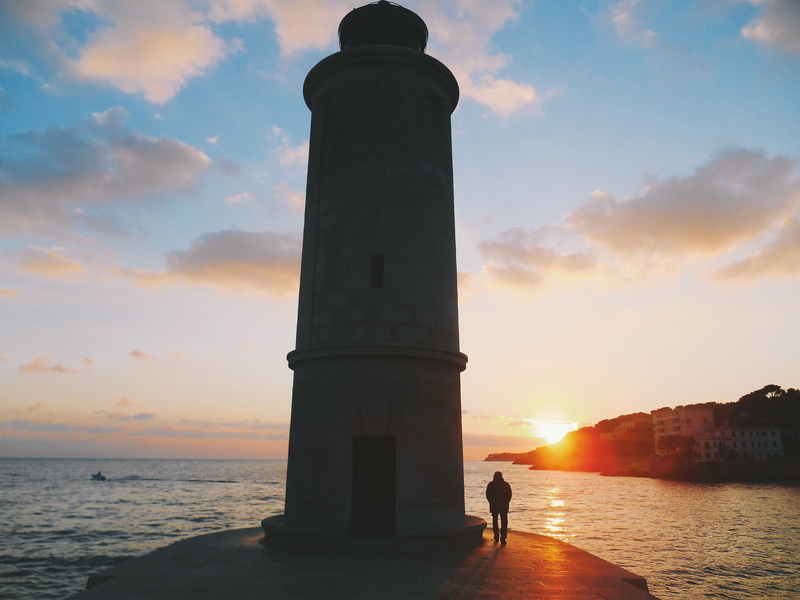 Driving through the Basque countryside and into neighboring Guipuzcoa province, where San Sebastian is located, reminded us of just how beautiful it is here when you get out of the city. Before long we had crossed the border into France with little fanfare. If the road signs hadn’t changed language it would be difficult to know that you had entered France. Now the real leg of our journey begins. 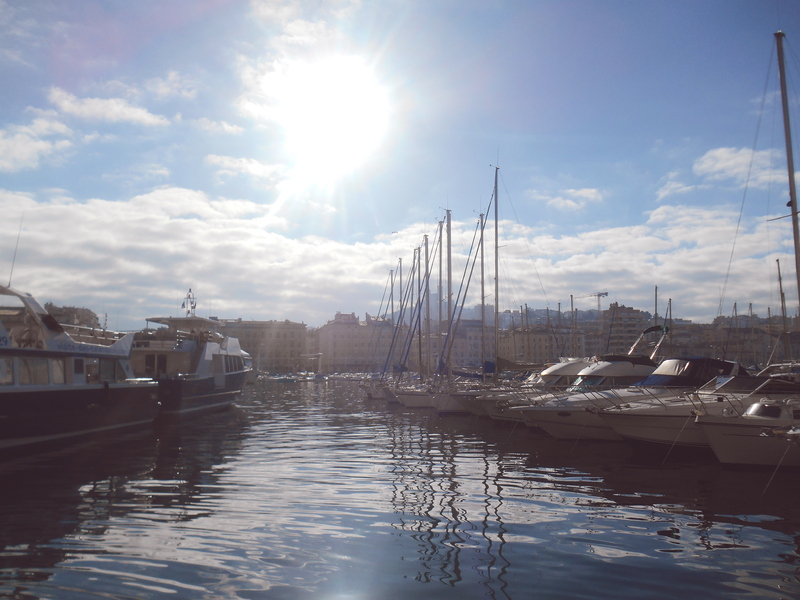 Before arriving to Marseille we had planned a few stopovers. The first one was in Toulouse. So after around four hours of driving we arrived in Toulouse city center. The roads that we took allowed us to see the changing colors of the season as well as the beautiful French countryside. In the backdrop were the mighty snowcapped French Pyrenees mountains. 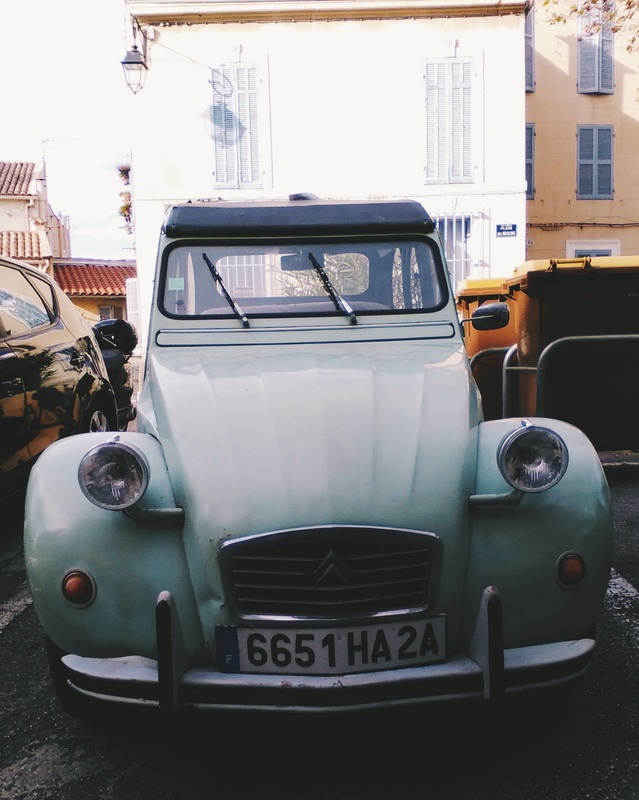 Once we found parking in Toulouse we headed out to explore. 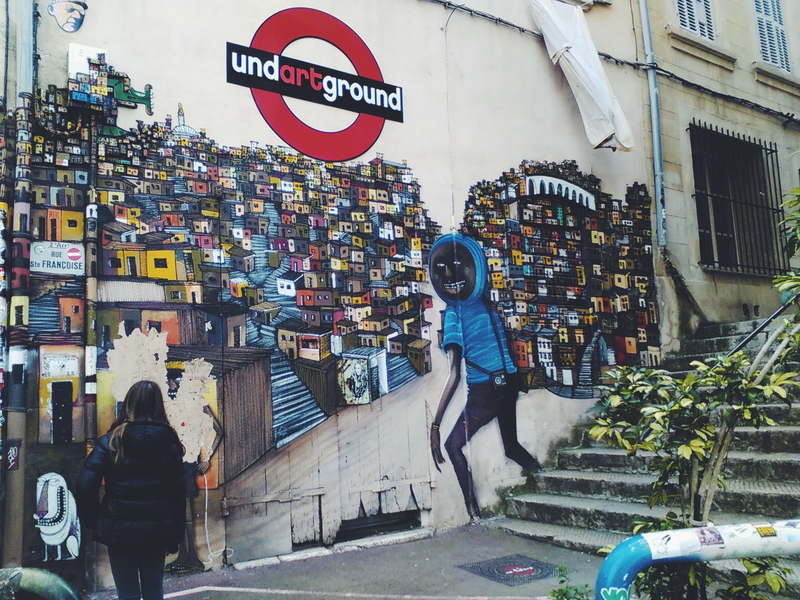 We had been excited to visit this city for some time now, which is known for their cassoulet and their vibrant downtown. 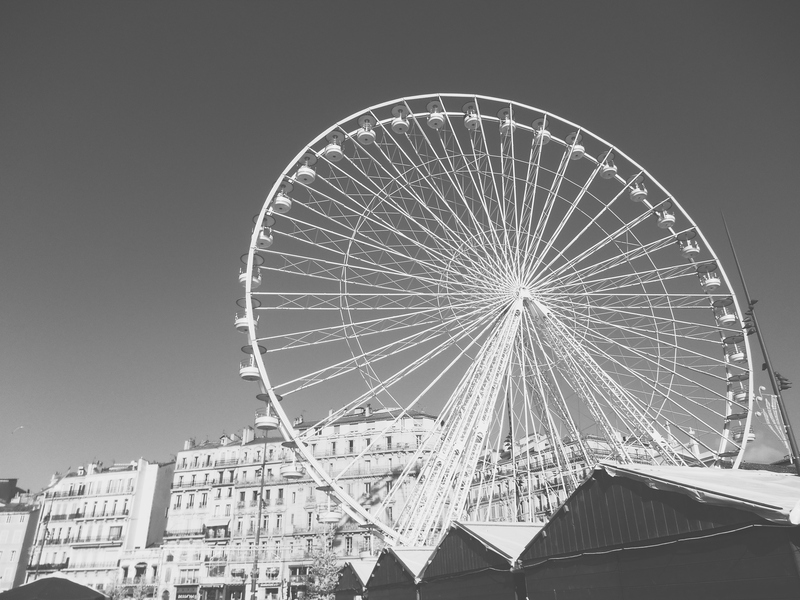 Right away we could tell the difference between the French and Spanish cultures because of the diversity in ethnicities, clothing and food available. We headed for a restaurant that we had looked up called Le Bon Vivre in the heart of the city. When we arrived however, they were not yet open for dinner. 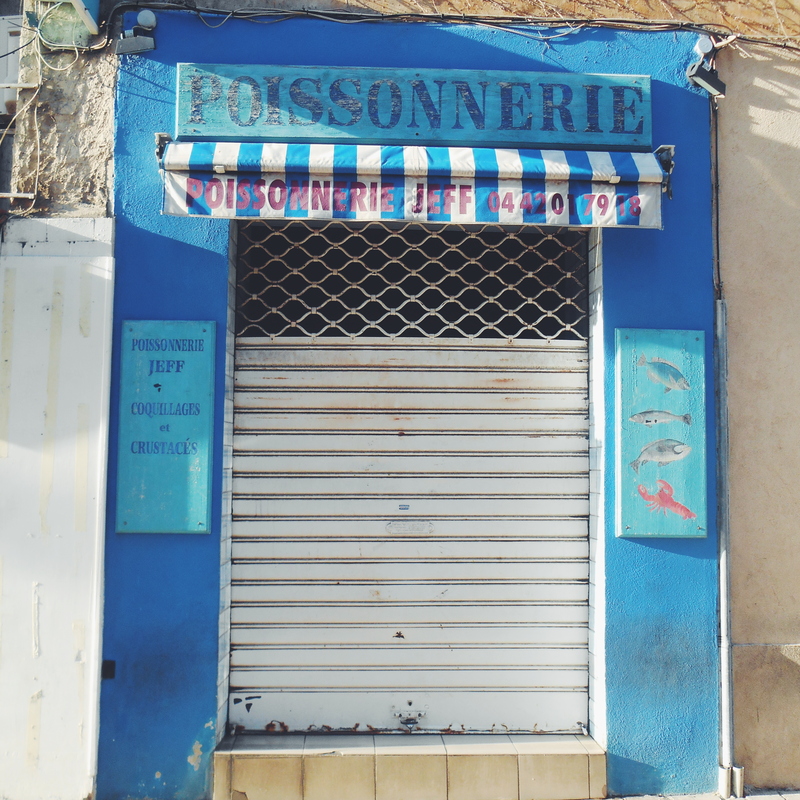 Typically restaurants in France close after lunch for a few hours. So to kill some time we stopped in a cafe and had a Toulousianne coffee which is infused with violet. 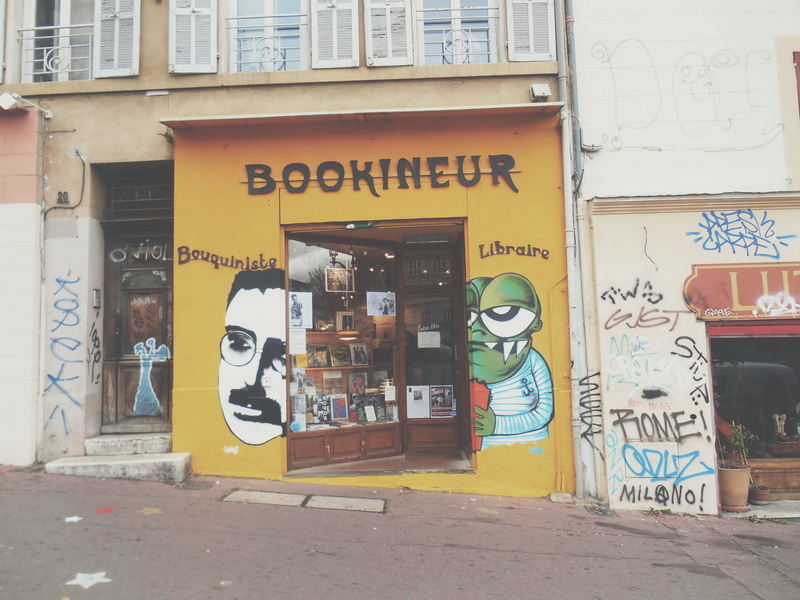 This is also something that we would recommend to anyone visiting Toulouse. 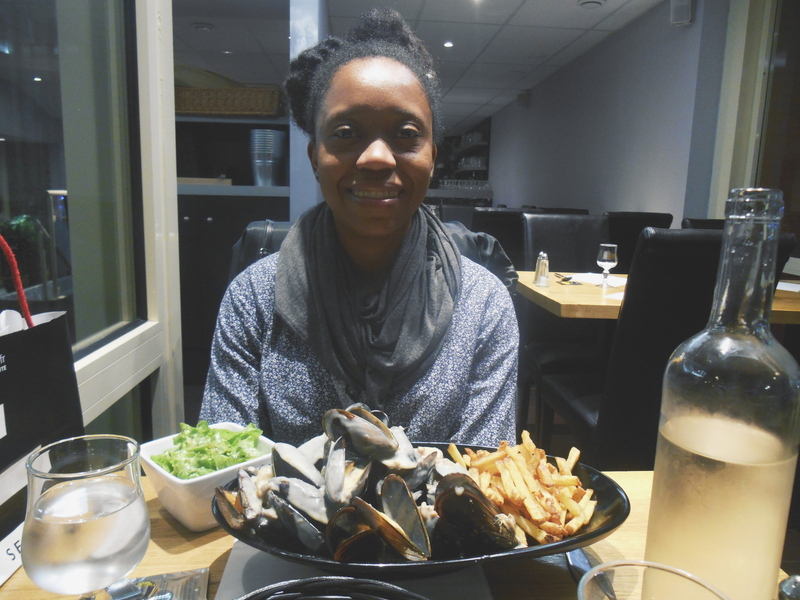 Afterwards we decided to go to a place that was open called La Moule qui Rit. This place specializes in mussels and fries in a variety of styles. The place was delicious and the portions were generous and a good value. 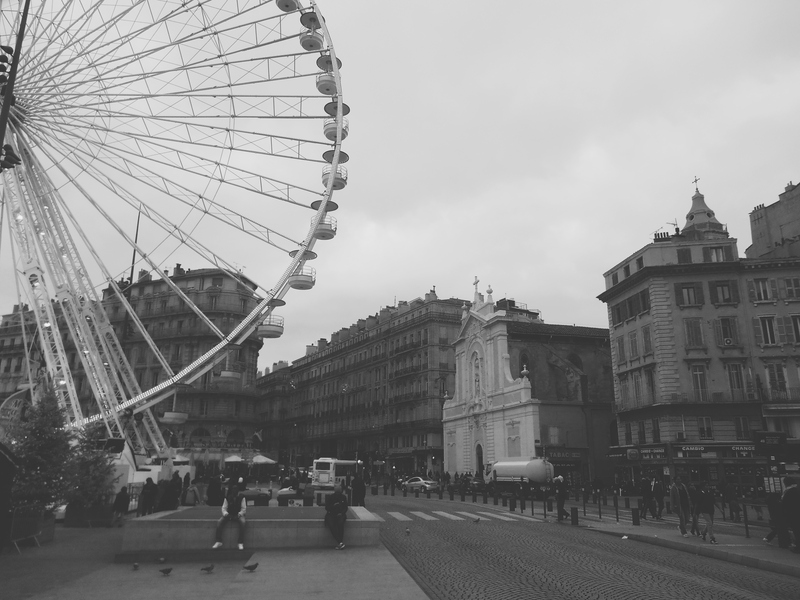 One thing that was interesting about the people of Toulouse is their accent. We noticed it right away when we were greeted by our waiter. The accent sounds like someone who is in a really good mood and he decides to start singing in French! 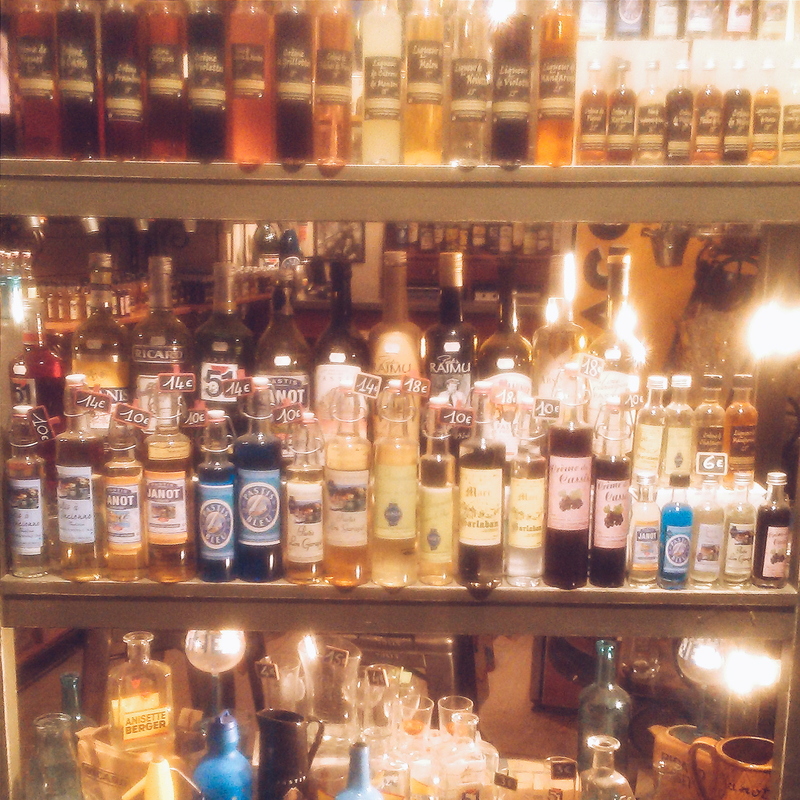 It is actually quite nice and charming. 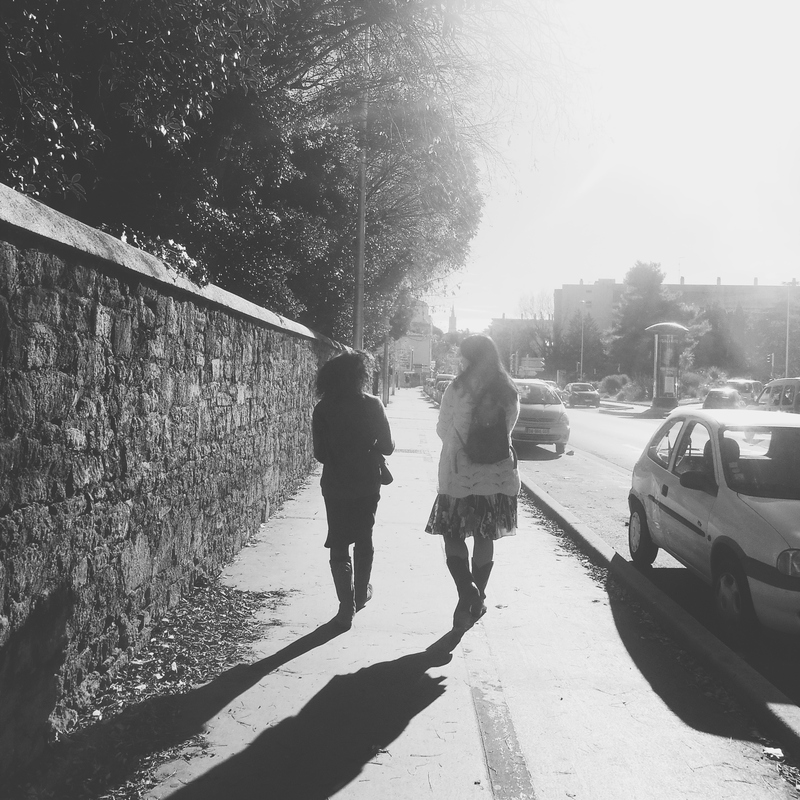 So for the rest of our time in Toulouse we practiced imitating the accent together. 🙂 We thoroughly enjoyed our brief time in Toulouse and we would love to return someday to explore more. The city is vibrant with beautiful architecture and friendly people. After leaving Toulouse our next stop was to visit some new friends in Montpellier which is about two and a half hours away. If you’ve never driven in France let me tell you about some things that you may “enjoy.” First of all, if you plan on driving on the highways be prepared for tolls, lots of them. We have these as well in Spain but no where near as many as in France. Some of these can be as little as a few Euros but when entering a major city they can be over twenty Euros! The roads that we were on were all super smooth and extremely well maintained and the rest stops were unlike anything we have ever seen. It was obvious to us that the French take their roadside rest stops very seriously! First, there are super nice stations to refill fuel. These include every imaginable thing that you could ever want while on the road. On top of that they are very clean which is a welcome surprise. In addition to that there are multiple clean bathrooms, showers, picnic tables and restaurants. We even came across a roadside stop with a boulangerie or a place that makes fresh bread and crossaints and other pastries. The place looked like something that you might see in any major city in France. Impressive! Ok, let’s get back to the drivers in France. They are likely to tailgate you to the point that you can’t see their front license plate. They also like to cut you off dangerously close after passing you even if you are the only two people on the road. So in our experience they are more aggressive than Spanish drivers, who usually just like to drive fast but not aggressively. Ok, after surviving the roads we make it to Montpellier around 11pm. There we met with Stephanie Lee and her parents Steve and Wanda from San Francisco, CA. 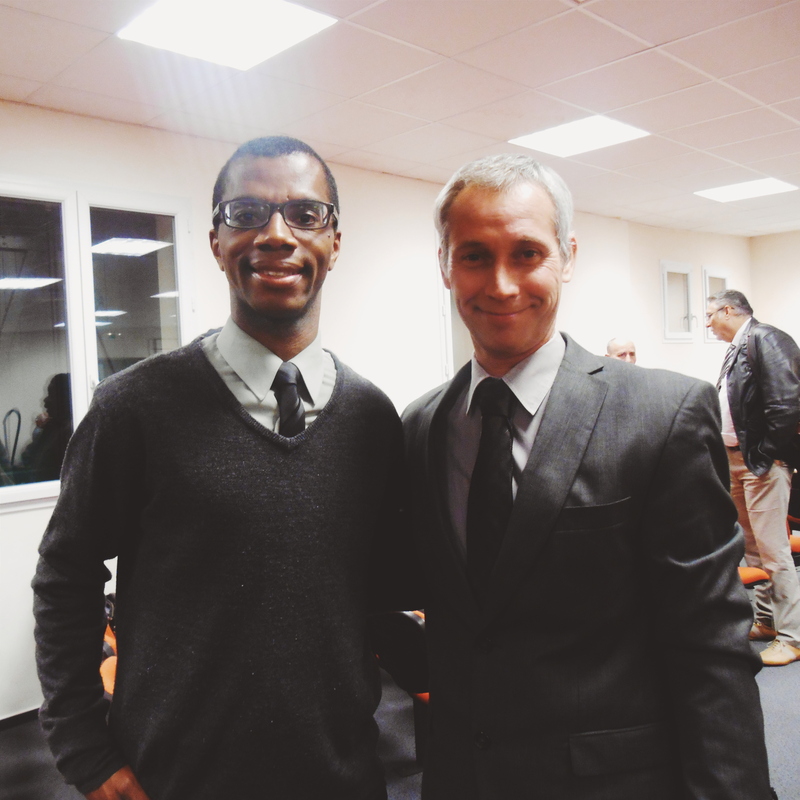 They are a really sweet family who have been serving with an English congregation in Montpellier for the past year. 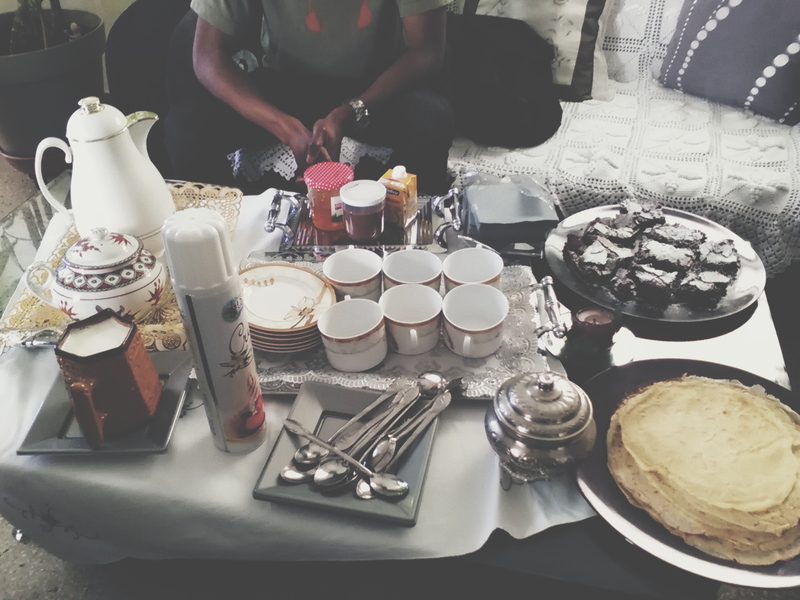 Even though it was late they welcomed us with delicious homemade macaroons and French tea. 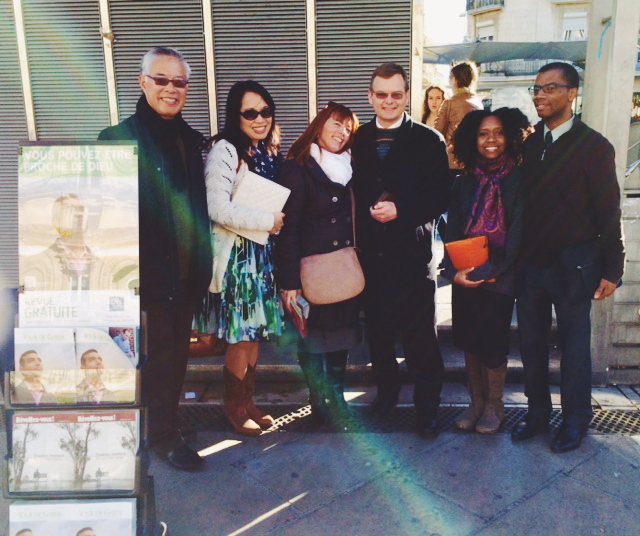 It was so nice to learn more about their experiences serving Jehovah in a foreign land. After a good night of conversation we were able to get some rest for the next day. The next morning we got up and prepared for the ministry. The Lee’s have a beautiful apartment in a nice neighborhood across from a bakery and a wine shop. They got some pastries from the bakery and we enjoyed a great breakfast. 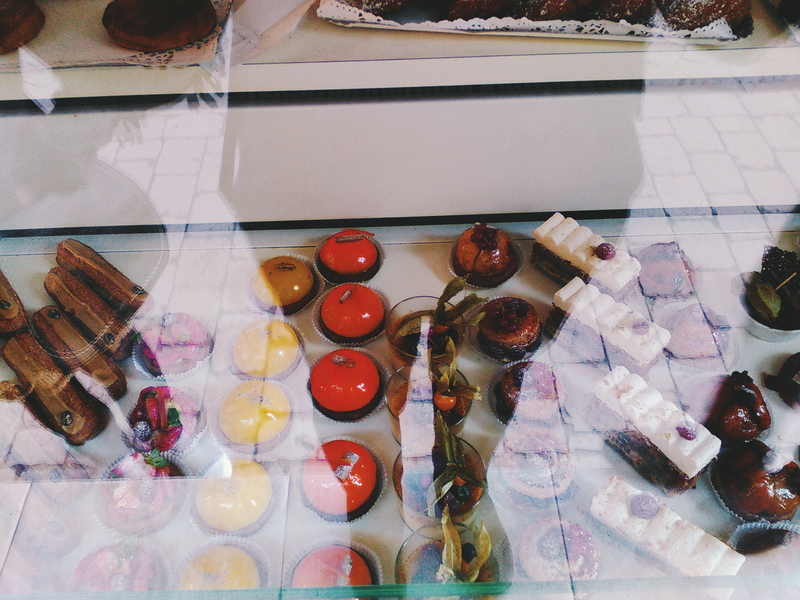 After that breakfast, it was apparent to us that we would be gaining weight while eating in France. 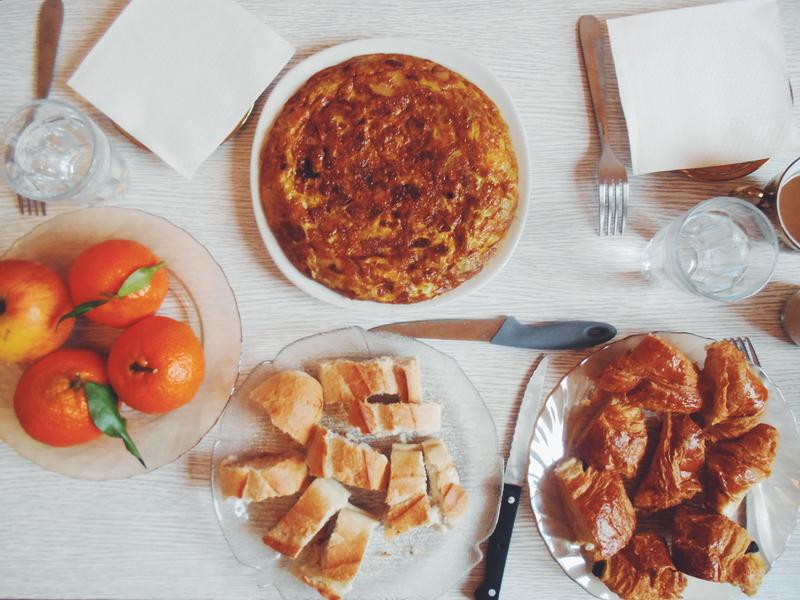 All of the food is so rich and decadent compared to what we are used to eating in Spain. Oh well, we’ll walk it off I guess. After breakfast we headed out to preach. We met up with the group in the city center and I was able to work with a sister from Guadalupe and Kanicia worked with Stephanie. We learned a lot about the territory and the congregation. They have many university students whom they preach to. One of the main needs in the congregation is for native speakers. 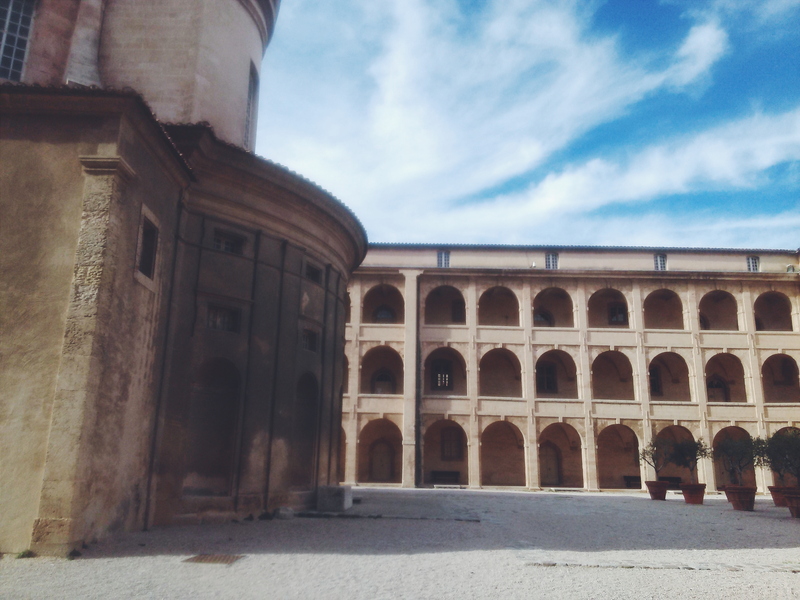 So if you are thinking about serving in France, Montpellier would be a great place to start. 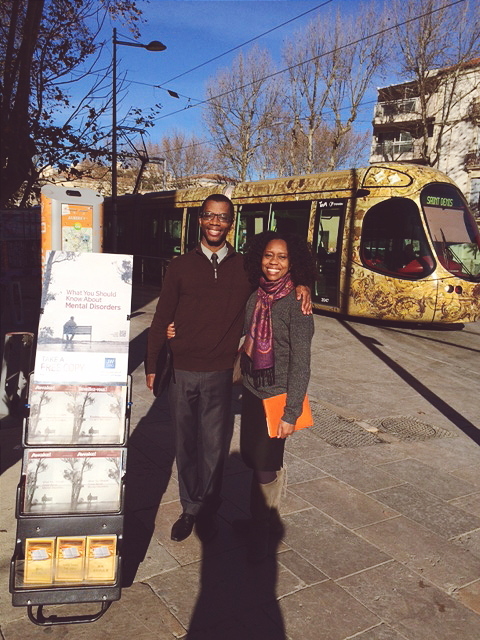 Something that was really cool to see was how common the public witnessing displays are in Montpellier. We ran into several throughout the morning. In France they have been preaching this way for many years so it is nothing new to them. It was great to meet so many different friends throughout the morning. All of them were really reaching out to serve Jehovah fully. Many were in different language groups and congregations as well as serving in France as needgreaters. For lunch Stephanie and her family took us to this amazing Kebab place that is well loved by the friends. The food was delicious and the staff were very nice. 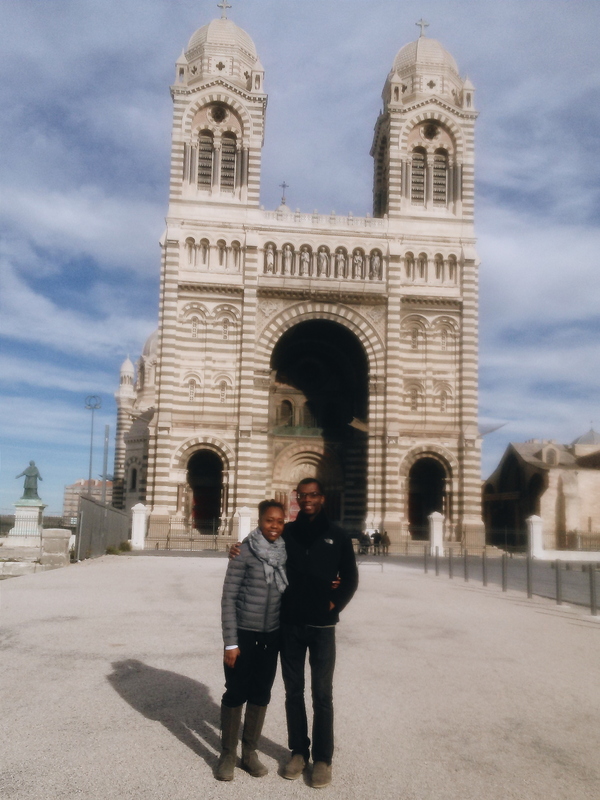 Unfortunately our stay in Montpellier was short but we loved the city and the Lee family were amazing! Until next time! Later that afternoon we packed up and hit the road again for Marseille another two and a half hours away. 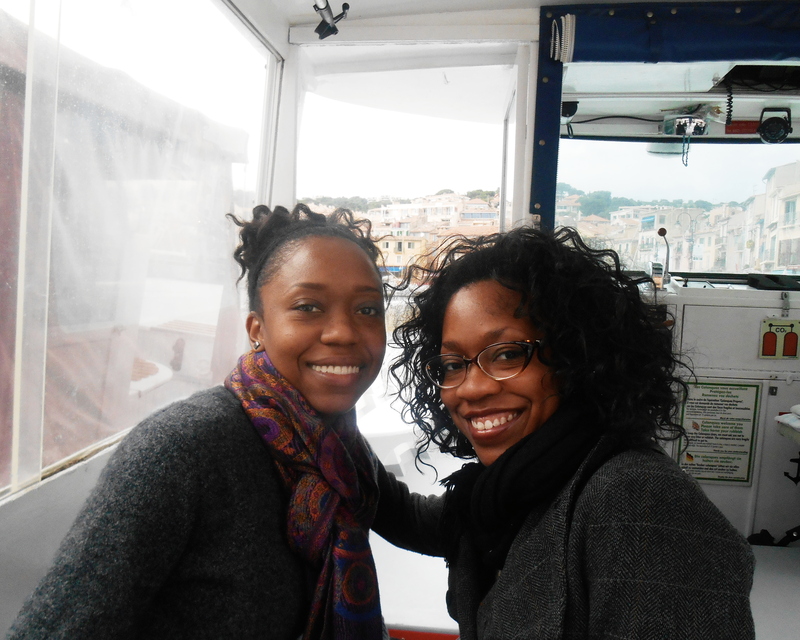 After arriving in Marseille we were eagerly looking forward to seeing Kabina and Kamila, Kanicia’s mom and sister. It was so nice to finally see where they live and to spend some time together face to face. Before long we were comfortably chatting away over dinner as if no time between us had passed. It was as if we were back in the Bay Area again. The next day we were all invited to have lunch at a sister’s house nearby. There were eight of us total. One thing that is great about being in France is that we can communicate to people more freely than in Spain because of the language. The sister showing hospitality is from the island of Reunion. She really went out of her way to prepare a wonderful meal with many courses as is the custom. We knew that we were in France when we arrived at noon and were just finishing eating at 5pm! 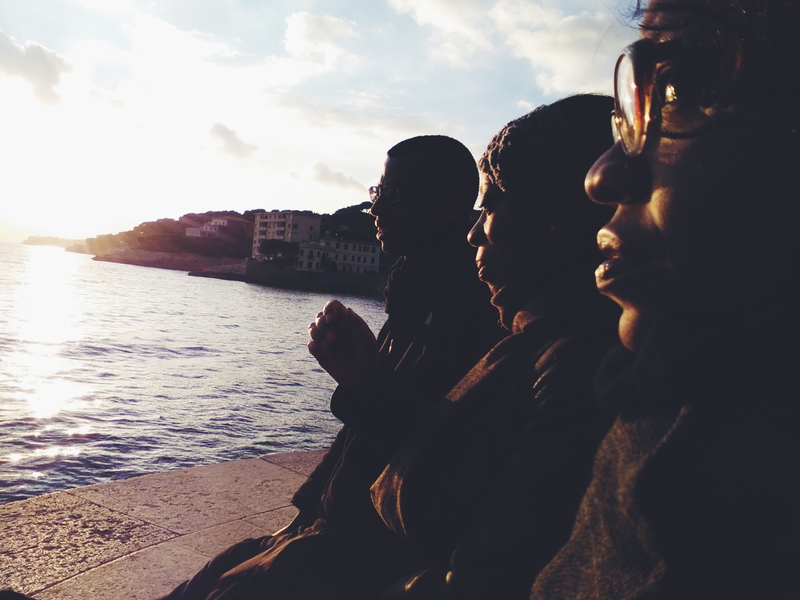 The next day we enjoyed sightseeing with Kabina and Kamila. 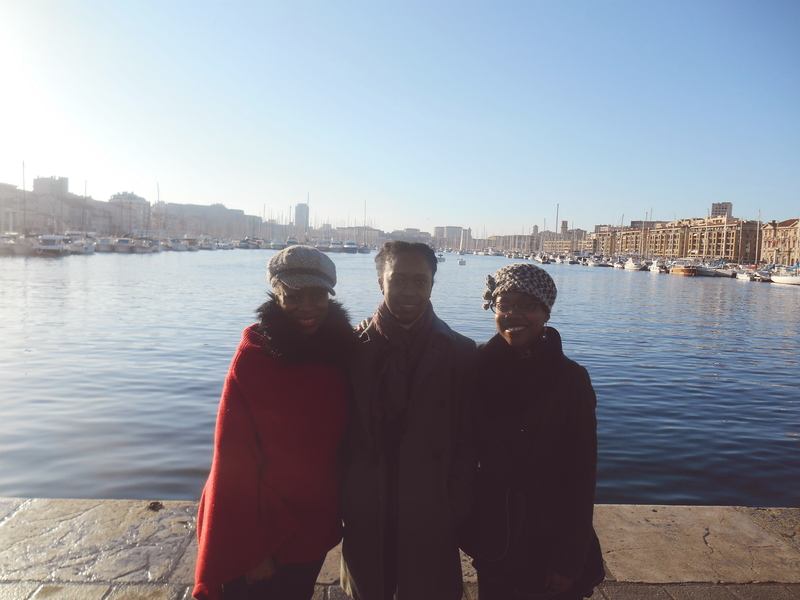 They took us to the Vieux Port and some other interesting areas of Marseille. The weather was cooperating with us as the sun was shining and you didn’t even need an overcoat to go outside. This was a welcome change! 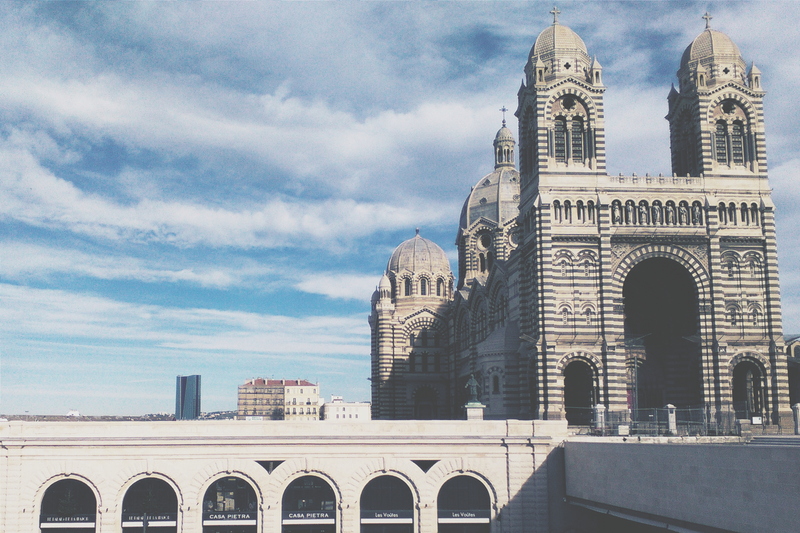 Marseille is France’s second largest city behind Paris. Unfortunately it has a bad reputation because of crime and other things. 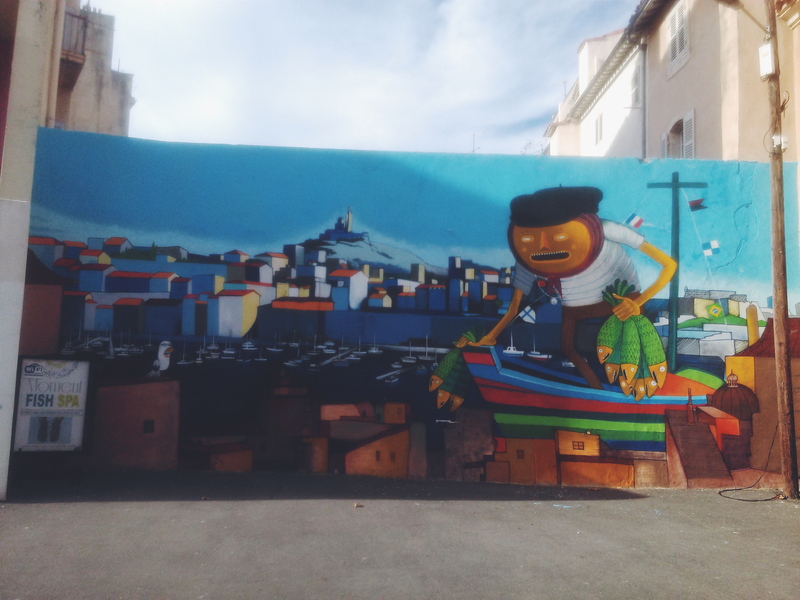 But the city is one of the most diverse in France with many people from northern Africa. In some parts of the city you don’t even feel like you are in Europe anymore! We really enjoyed seeing all sorts of different people and as a result there are groups and congregations in all kinds of languages. The city itself has some really pretty areas, especially near the water and port. But it also is gritty and has a lot of graffiti. But this isn’t such a surprise for such a big city. The people in the city are down to earth and working class. 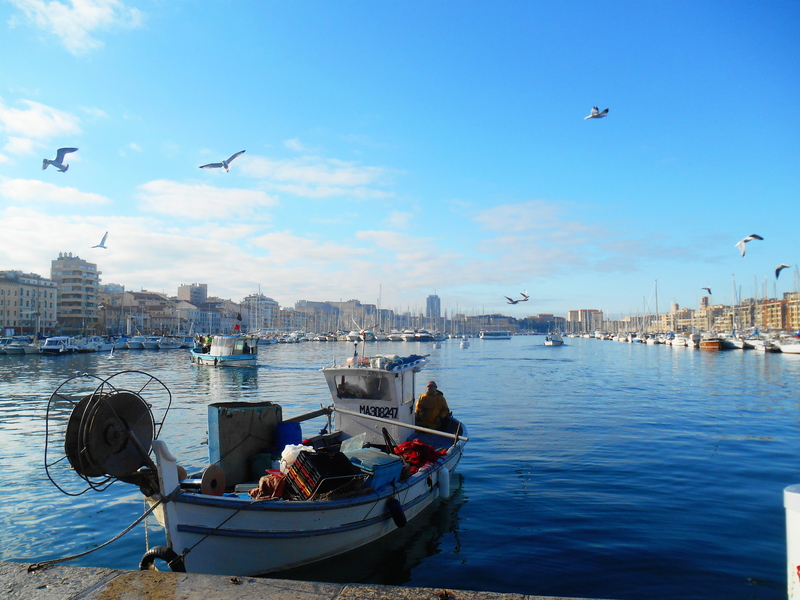 We enjoyed exploring Marseille by foot and discovering different areas of the city. 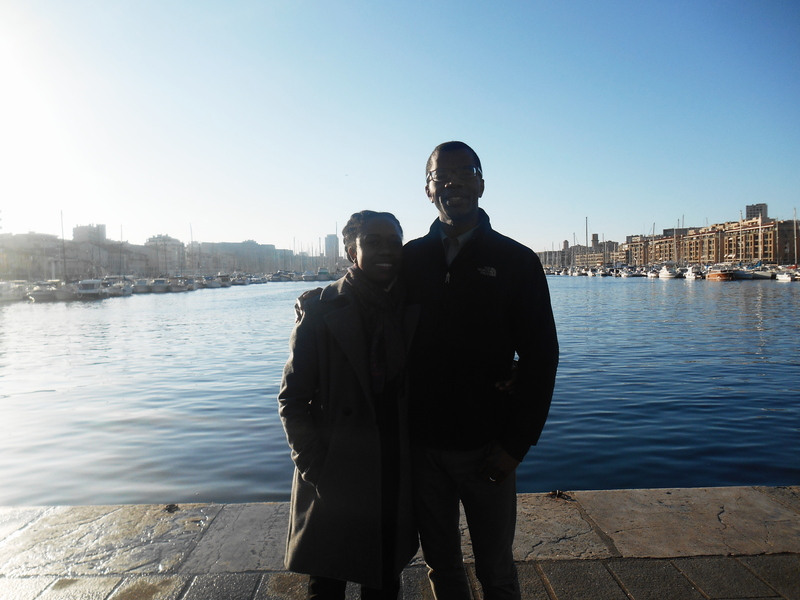 The next day we took the opportunity try some local cuisine by the Vieux Port. 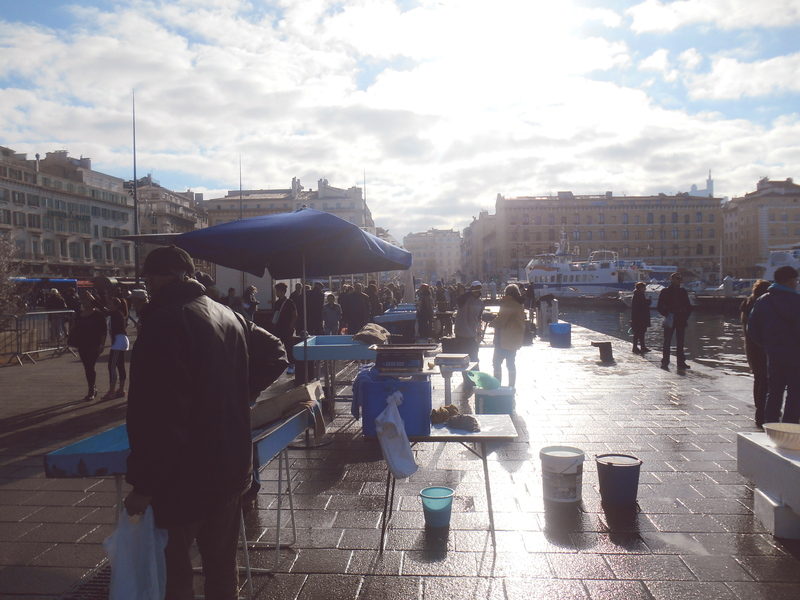 Every morning the fisherman bring out their catch from the sea and you can buy the fish directly from them. After eating we went to visit the Notre Dame Basilica. 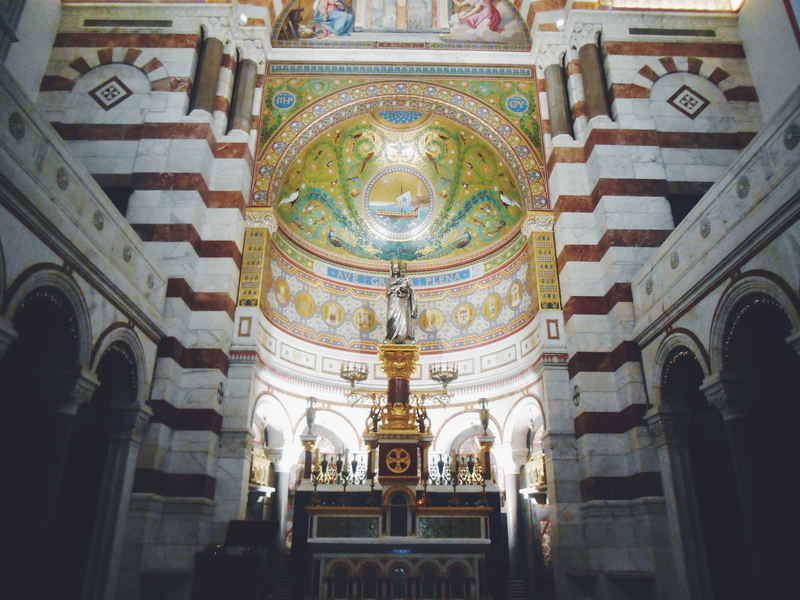 This is a massive church located on top of a hill in the center of Marseille. 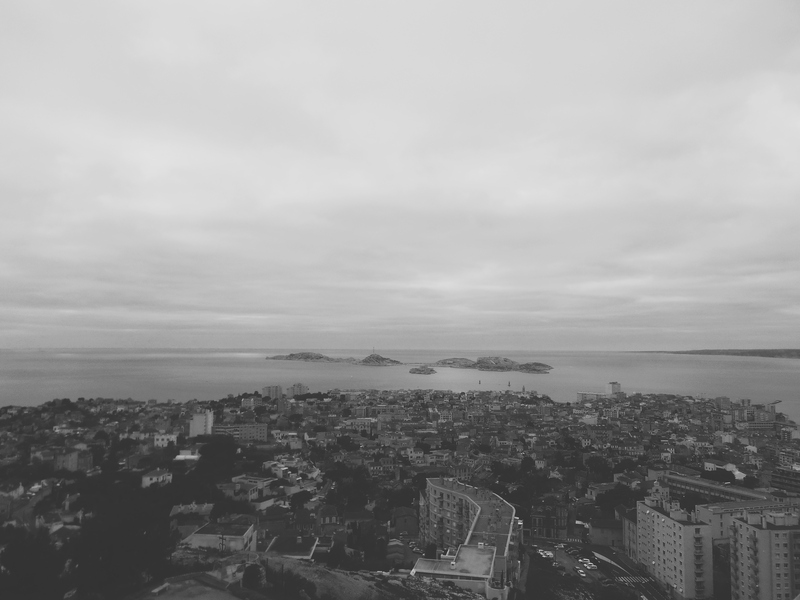 It offers you an amazing 360 degree view of the city as well as the island Chateux D’if from the movie The Count of Monte Cristo. That night we prepared for the meeting with the Kabyle group. 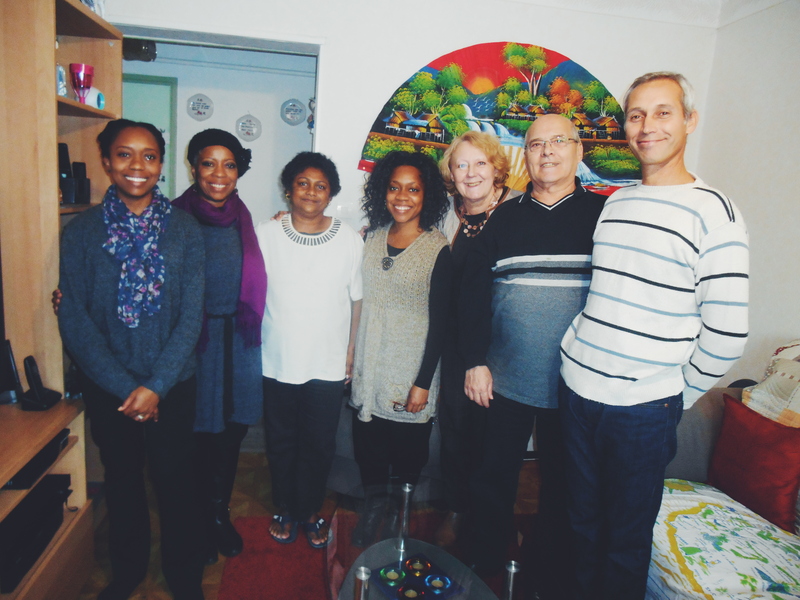 Kanicia’s family have been serving in the Kabyle language group since arriving in France. The Kabyle people are Berbers located in the coastal mountain regions of northern Algeria. There are many in France and there are a few groups in the country. There is only one Kabyle congregation in Paris. We were really looking forward to meeting the brothers in the group. It also turned out that Kamila had a talk that night. 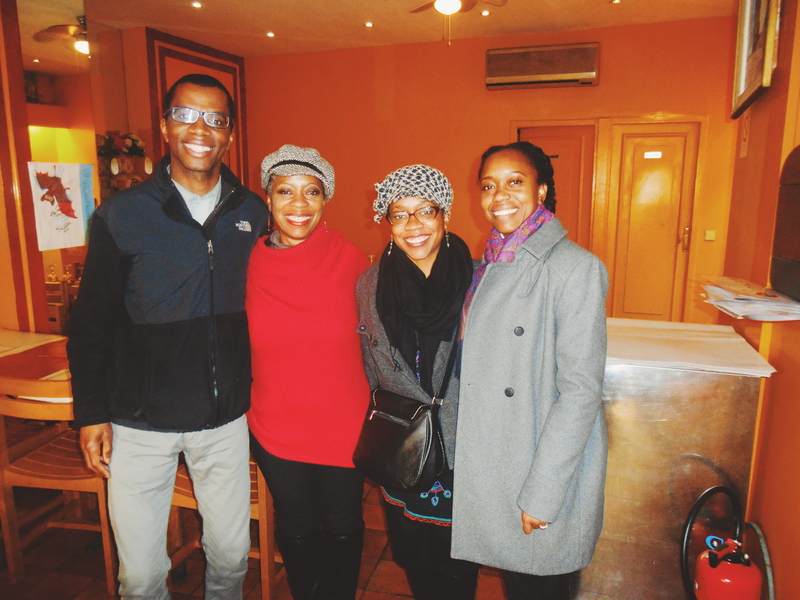 Since they are a group they only had the school and congregation Bible study and the rest of the meeting is held with the French congregation. There is no Draw Close to Jehovah publication in Kabyle as of now so they study it in French and translate the questions into Kabyle as well as comment in Kabyle. Because of a double scheduling we didn’t get to see Kamila give a talk in Kabyle. 🙁 Kabina and Kamila did both comment using some Kabyle words however. There is a lot of work to be done in the Kabyle group. So much so that the group has a couple who graduated from the couple’s class as well as a brother who graduated from the school both assigned to take the lead in the group. There is much work to be done in the territory such as finding the Kabyle speakers and cultivating the territory. We were able to preach with the group and due to the diversity of the territory we can see that there is much work involved. There have been ones from the territory that have come into the truth and when we were at the meeting there were interested ones in attendance. The group numbers around fifteen publishers. 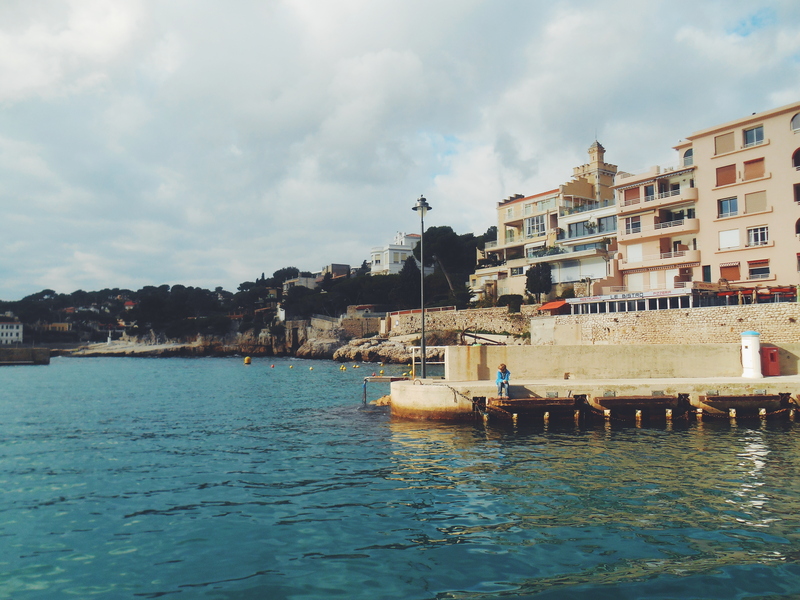 One of the highlights of our time in the south of France was a visit to Cassis. 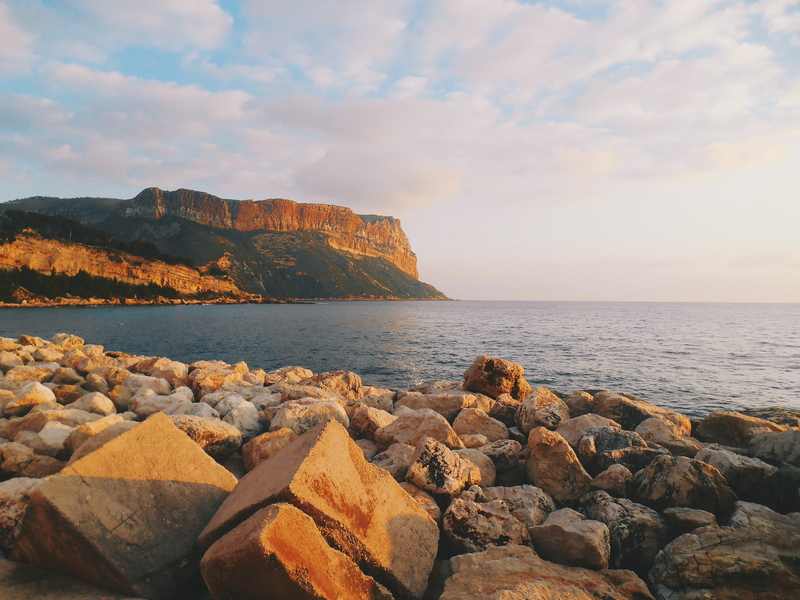 Cassis is a coastal town about 30 minutes from Marseille. My mom’s childhood friend Patrick, lives in Cassis and he arranged to show us around once we arrived. As we drove into Cassis the difference between the surroundings is immediate in comparison to Marseille. The town is nestled along the water and it is clean, stylish and bright. 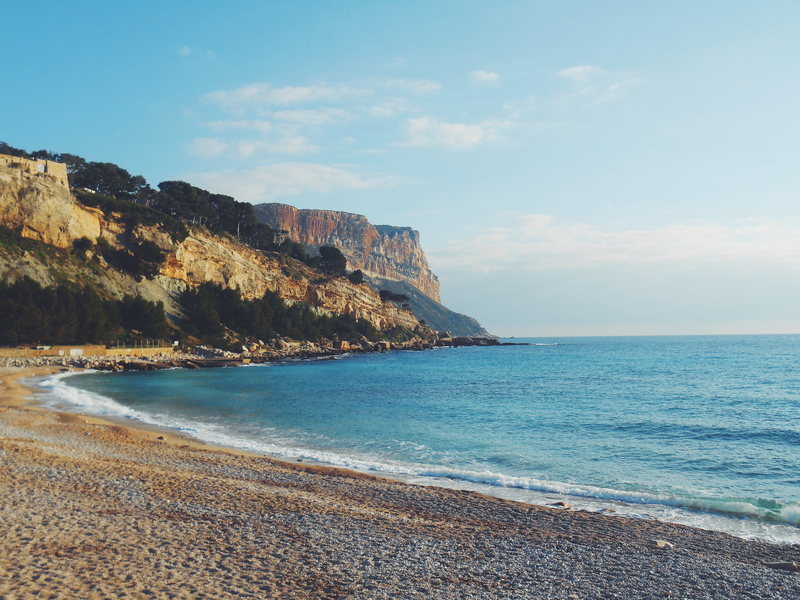 If you imagine in your mind what the south of France should look like, that’s what Cassis looks like. As we pull up to the address in the center of town where my mom’s friend lives we are not sure what to expect. Quickly we are warmly greeted by a very nice man who was expecting us. If we thought the accents from Toulouse were unique, the accent from Cassis really caught us off guard. It’s quite different from the Marseillaise accent even though the cities are not far apart. It’s like a rising pitch accent and it can be difficult to understand until you tune your ear to it. Our new friend tells us that if we want to catch the boat to visit the calanques we better start heading down to the water. 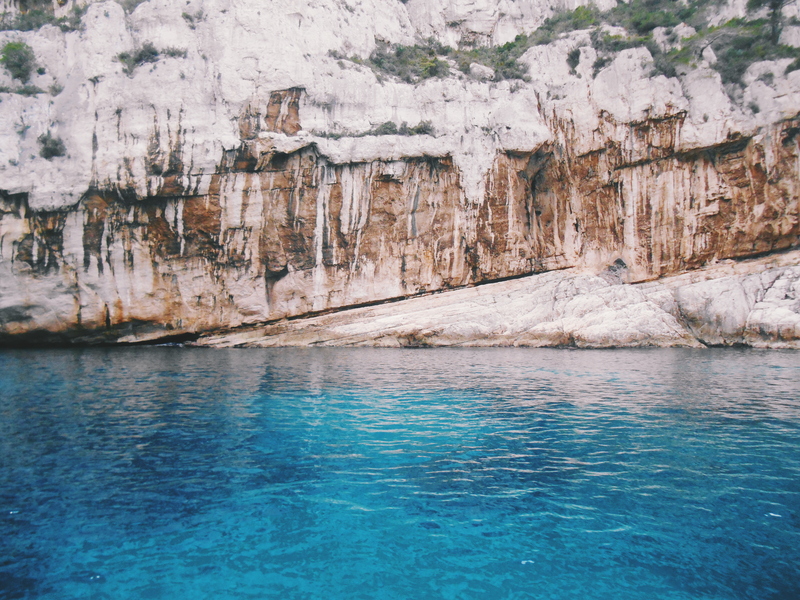 If you are not familiar with a calanque, let me explain. A calanque is a steep-walled inlet, cove, or bay that is developed in limestone and found along the Mediterranean coast. Cassis is famous for their beautiful calanques which are best viewed by boat. 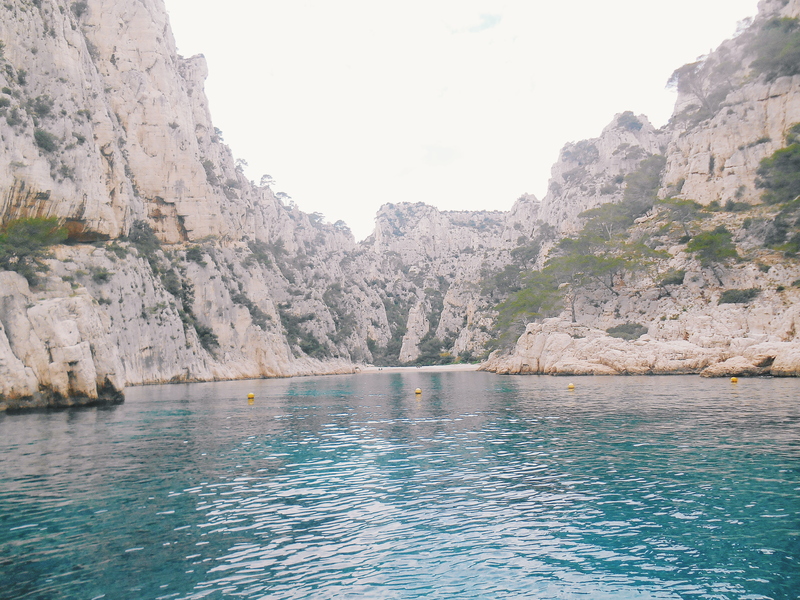 So we hurried and caught the boat and took a tour of three calanques which lasted around 45 minutes. 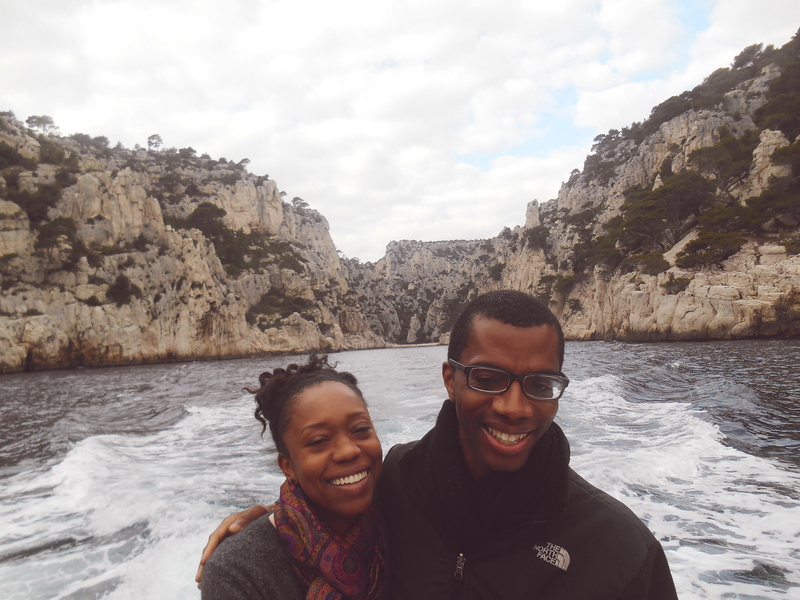 The calanques were gorgeous. So calm and peaceful. The water was extremely turquoise blue and you could see the fish swimming and the rocks at the bottom when the boat stopped moving. 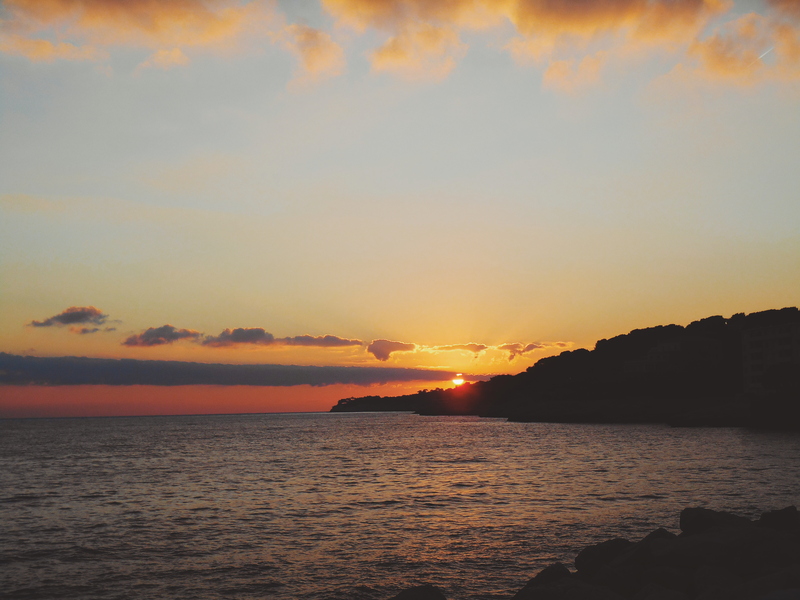 This is definitely a must do for anyone visiting Cassis! 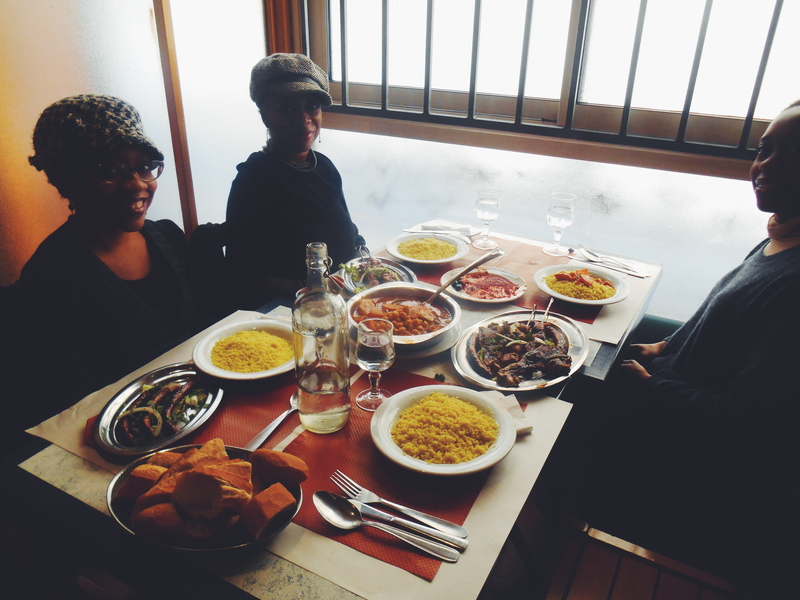 After the boat ride we visit a small local restaurant called Bar de la Capitaine. The owners are friends of Patrick and were super nice. The food was good and homemade by the small family who runs the place. 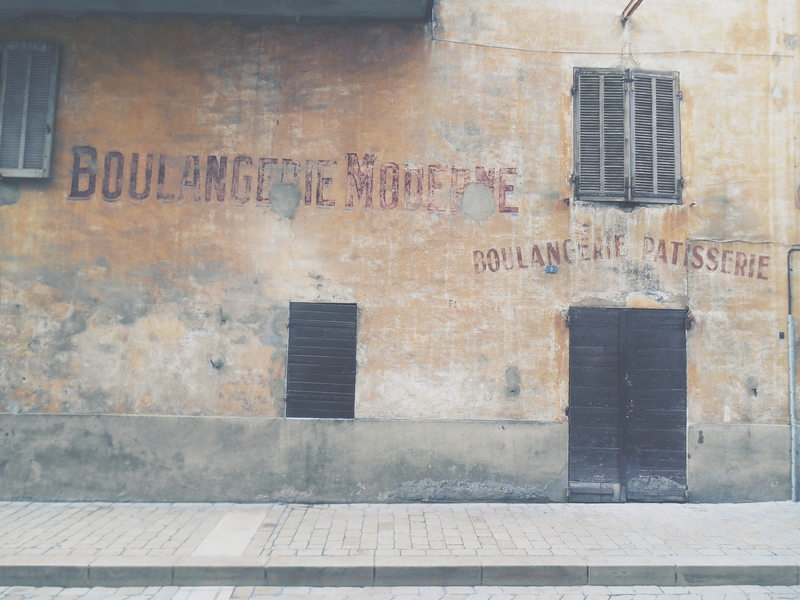 Being there felt like stepping into the scene of a movie in southern France. Everyone knew each other and the place was super cozy and quaint. After a great meal we go back to say our goodbyes to Patrick before exploring the city some more. Patrick has a mechanic shop in the center of town and he knows everybody. Everywhere that we went we didn’t have to pay anything, including the restaurant and the boat ride. All of the people were friends of Patrick. 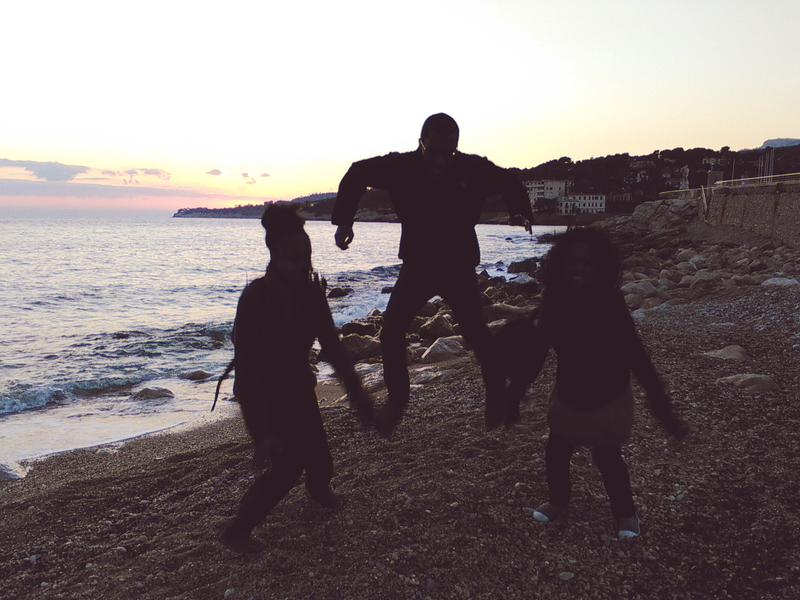 The day was going great and the sun was shining and we were in beautiful Cassis with family. What more could we want? After saying good bye to Patrick we headed down to the beach to take in the amazing views as we waited for the sun to set. 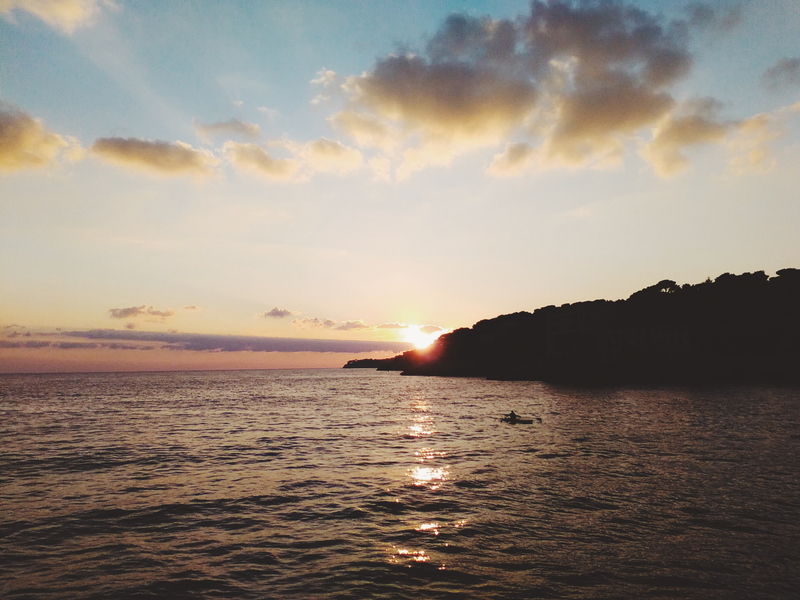 Cassis is truly an amazing place and if you go to the south of France you should definitely give it a chance! Later during the week we were able to have coffee and desserts with a nice Algerian family that are part of the Kabyle group. They were so warm and hospitable. The mother had come in to the truth from an Arabic background and had to deal with tremendous opposition. It was so encouraging to hear their stories and to spend time with her and her children. Plus, she made crepes! 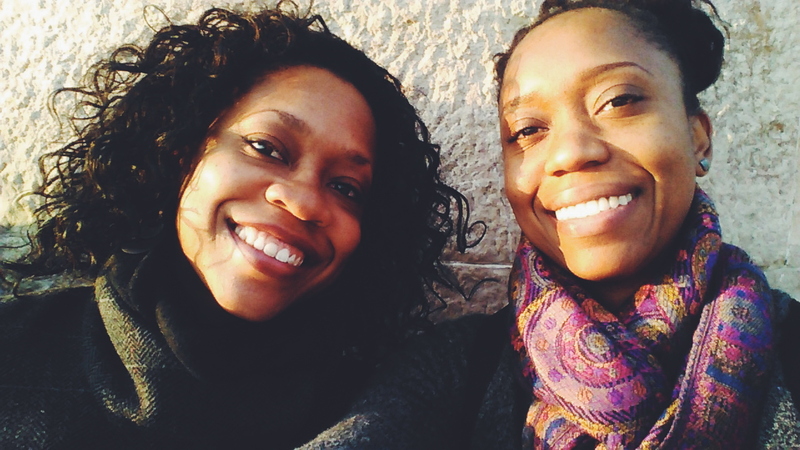 After finishing up a lovely week with Kabina and Kamila and some new friends we made our way back to Spain. But before we made it home we had planned to spend the weekend in Pamplona, Spain to give a public talk and to be with the friends. So begins the seven and a half hour journey from Marseille to Pamplona. On our way back to Spain we chose to go a different route in order to see different parts of France. We finally arrived in Pamplona late Friday evening and we were warmly welcomed by a nice family who serve in the English group there. 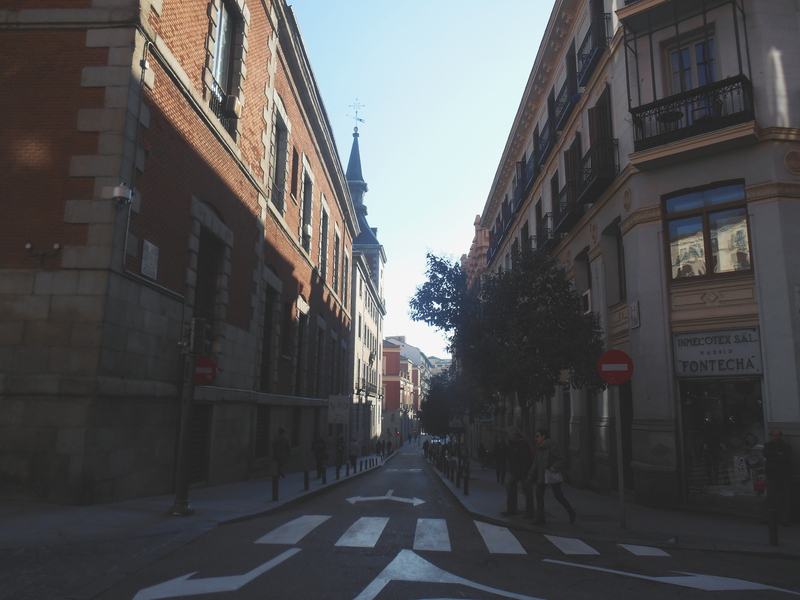 This was our first time visiting Pamplona and the English group and we had heard great things about both. An interesting fact is that Pamplona ranked best place to live in the entire country of Spain in a recent report. After spending a weekend there we could see why. It is clean, modern, affordable and there is plenty to see and do. 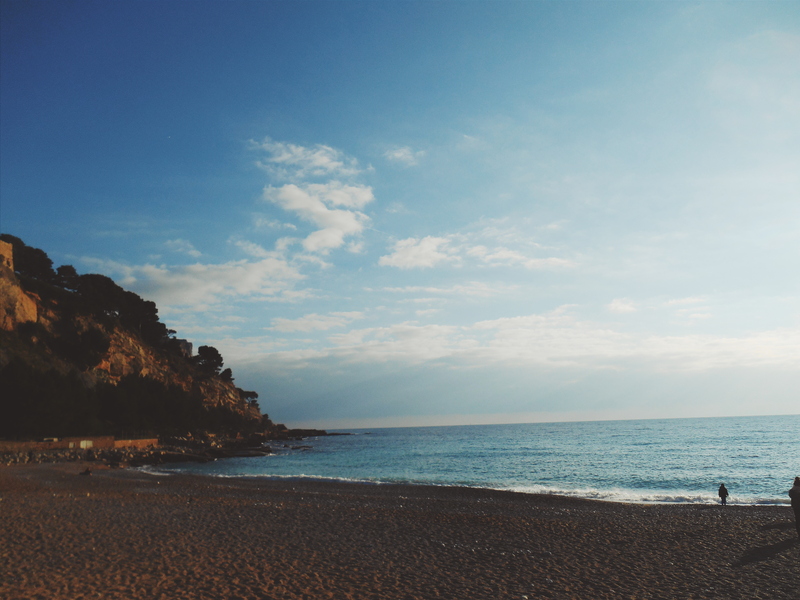 It is also close to the French border and San Sebastian. 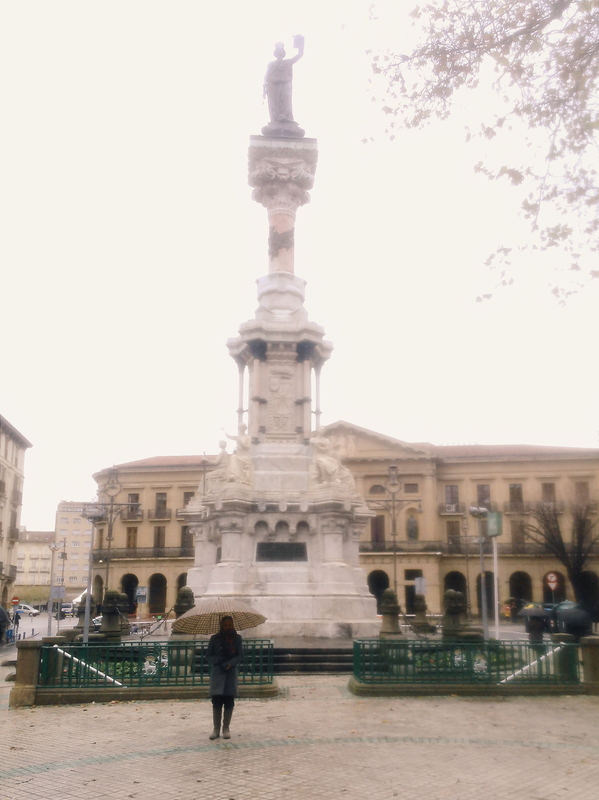 Pamplona is also the capital of the Navarre province. Even though we arrived late in the evening our brothers had prepared a nice Nigerian dinner for us and even stayed up with us for a little while to talk. This was despite the fact that the husband, Andrew, had to work at 4am the next morning. Another testament to the love of our brotherhood. The next day we shared in service with the group. 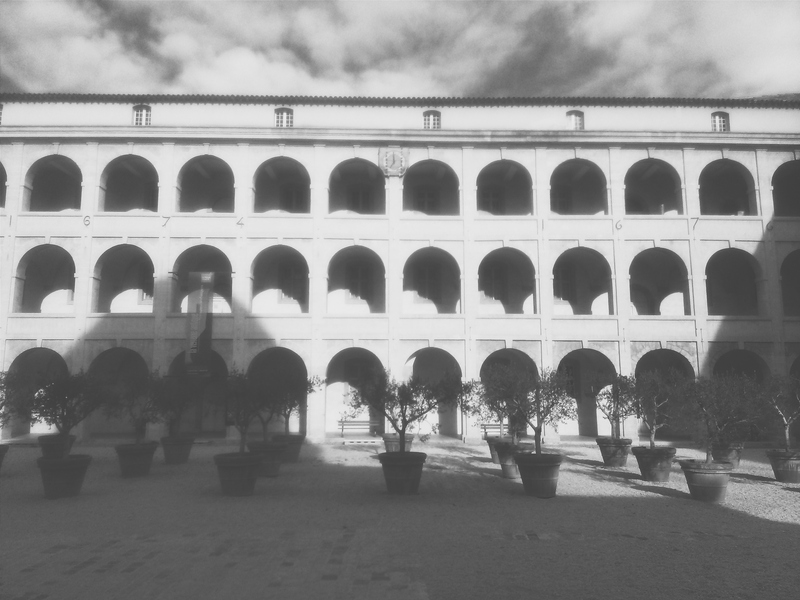 The hall is located in the center of Pamplona and is very nice with a second school upstairs. The English group consists of around twenty publishers and has one elder. They have a handful of pioneers as well. They have a diverse territory of students, English speaking immigrants and even visitors along the Camino de Santiago. If you are contemplating serving in Spain in the English field, even if only temporarily, Pamplona would be an excellent choice. We had a great time in service with the friends. It’s so nice to get to know the ones in our circuit better. Later that evening we had the public talk and Watchtower study. I was able to give the public talk which was nice. The next day we slept in because we were exhausted but after getting up we prepared to do some sightseeing on our own before going over to some friends for lunch. 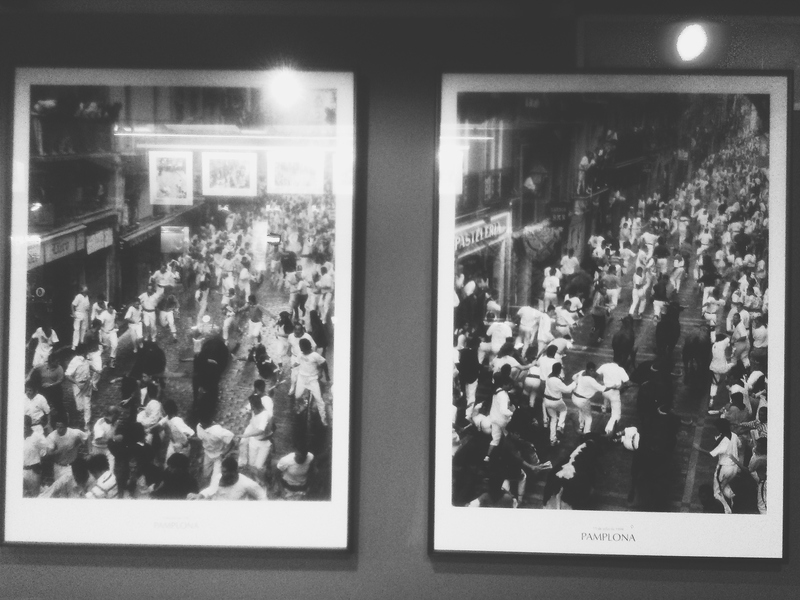 If you don’t know, Pamplona is famous for the Festival of San Fermin Running of the Bulls. This happens every July and lasts for one week. The city plays host to over 1 million people from all over the world. The festival is a deeply rooted celebration which has religious roots not surprisingly. It was made popular to the English speaking world when it was mentioned in a book by Ernest Hemmingway. It is now the most internationally renowned fiesta in all of Spain. The brothers tell us that when the festival is taking place the locals all try to leave the city if they can because it is impossible to do anything. 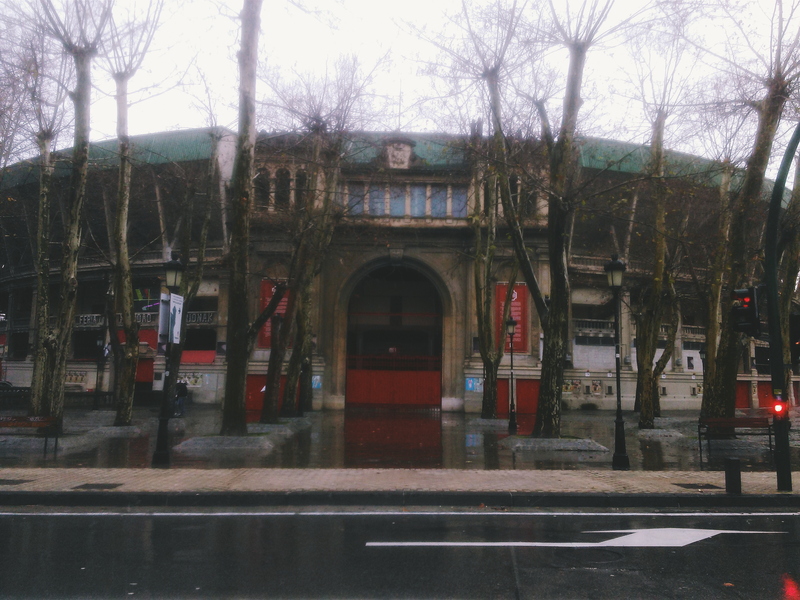 We were able to visit the Plaza de Torros (bull ring) that the bulls are lead to during the festival. We took some time to tour the old part of town which was very cool. We ended up eating at a great restaurant called Bodegon Sarria which is on the same street that the bulls run down during San Fermin. The tapas were delicious, intricate, huge and inexpensive. 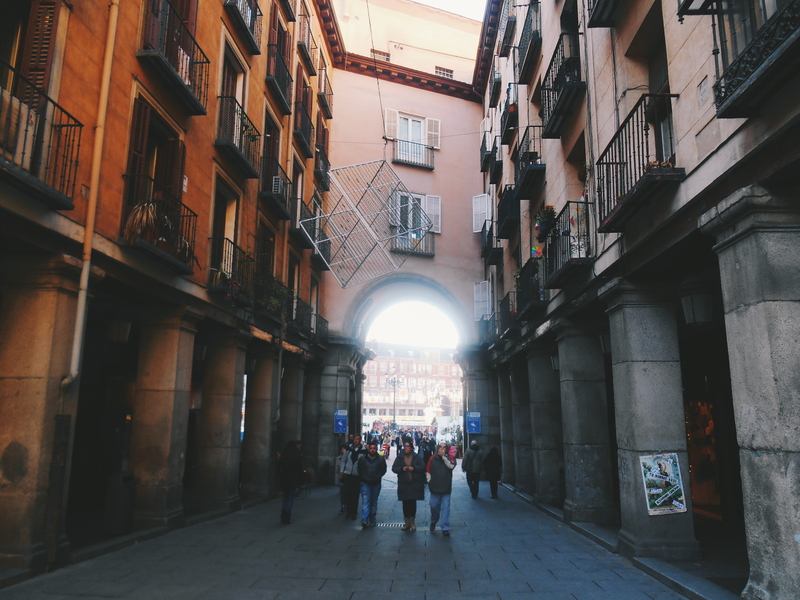 Pamplona is definitely worth a visit if you are in the area. 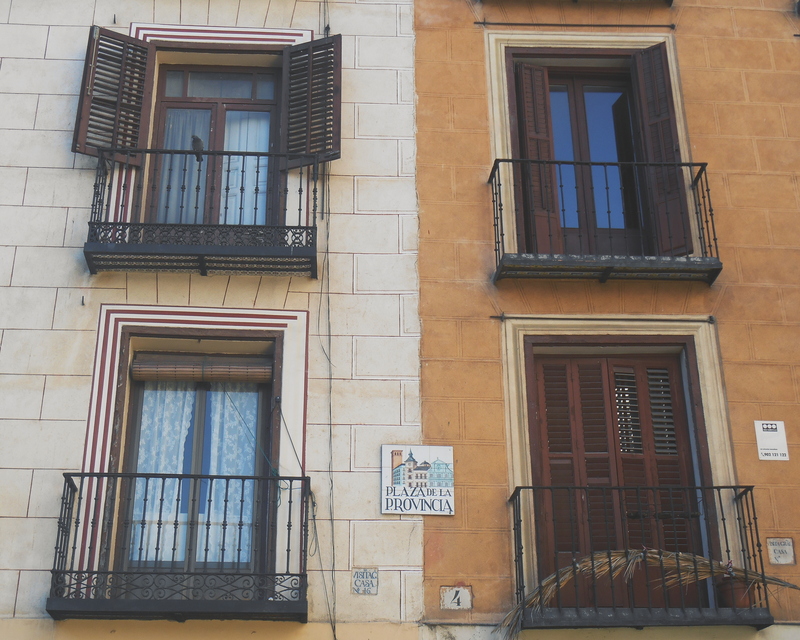 This is by far the cleanest city that we have visited in Spain. After seeing the sights we headed over to a brother’s house for some hospitality. It was great to spend time with this couple along with another pioneer in the group. 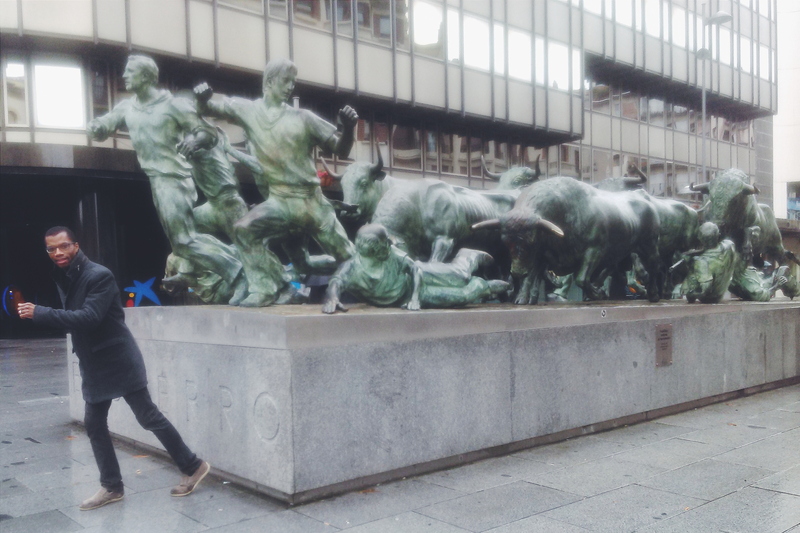 They gave us the opportunity to practice our Spanish and we learned a lot about Pamplona, the group and about them. After many laughs and good times we left our new friends and headed back to Bilbao about an hour and a half away. 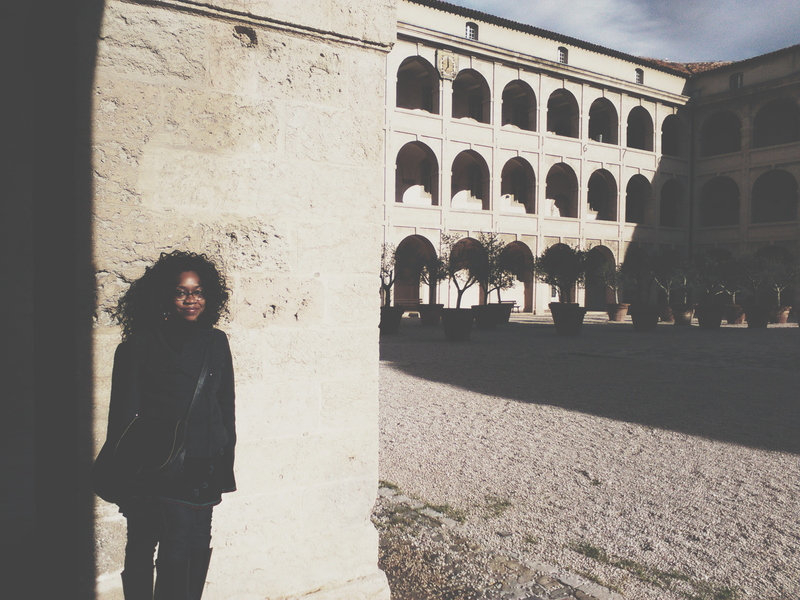 We thoroughly enjoyed our time in Pamplona with the friends and the beautiful city. We even got to see it snow there! Yes, it does get quite cold. 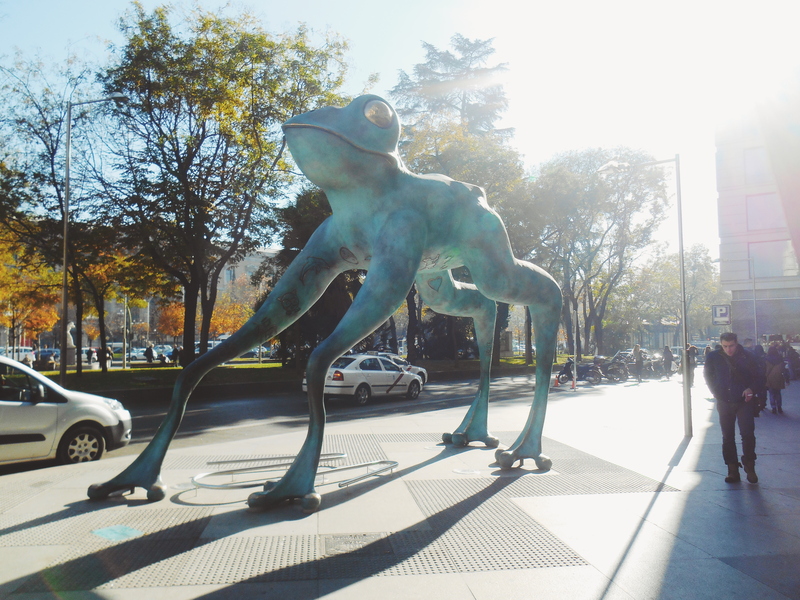 We were happy to return to Bilbao and frankly to be back in Spain altogether. It’s nice to get back to our schedule and to be with our home congregation again after having been away for almost two weeks. We’ve had some nice experiences in the ministry this past month as well. I have been able to start watching the movie Faith in Action in the Twi language with my Bible student Peter. We usually watch about ten minutes at a time after our weekly study. He is so captivated by the video because it is in the language of his heart which is great to see. He has been very appreciative of his studies, so much so that he has started to bring us food. At times he receives food from the markets and he has more than he can eat so he gives some to us and the other brothers and sisters. This just shows his appreciation for what he is learning and the effort involved in teaching him. During our vacation the brothers have told us that he attended all of the Sunday meetings. Kanicia also had a few nice experiences in the ministry. One thing that we have realized in the territory is that many people do not have access to the internet, so Kanicia decided to try downloading recordings or videos on CD to give to calls and studies. This has been especially successful with calls that are difficult to find at home and to allow some to hear information in their native language. There is one woman who we met on the Metro shortly after arriving who is so busy we are never able to connect. So using a messaging app popular here, WhatsApp, Kanicia sends her an encouraging thought with a scripture and a question once a week. Well, for the most part she just thanks her for the message but generally doesn’t respond to the questions. Kanicia sometimes wonders if she should continue trying to reach her. Well, right before the new year Kanicia sent her a message along with the recording of an article from the May watchtower on the future. Well it seems like she struck a cord with this message, because the woman called her back to thank her and to say she wanted to hear more! She had her bible and they had a bible discussion for about 40 minutes! She was so happy with the discussion she asked to have a regular discussion every week by phone! So it just shows we shouldn’t be too quick to give up, we never know what can touch a person and move them to action. You may have noticed that we’ve redesigned our blog. The layout places more emphasis on photos and has a cleaner easier to read design. We hope that you like it! We can’t believe that this little blog that we started a little over a year ago has received over 25,000 views. We have had some exciting news within our congregation as well. 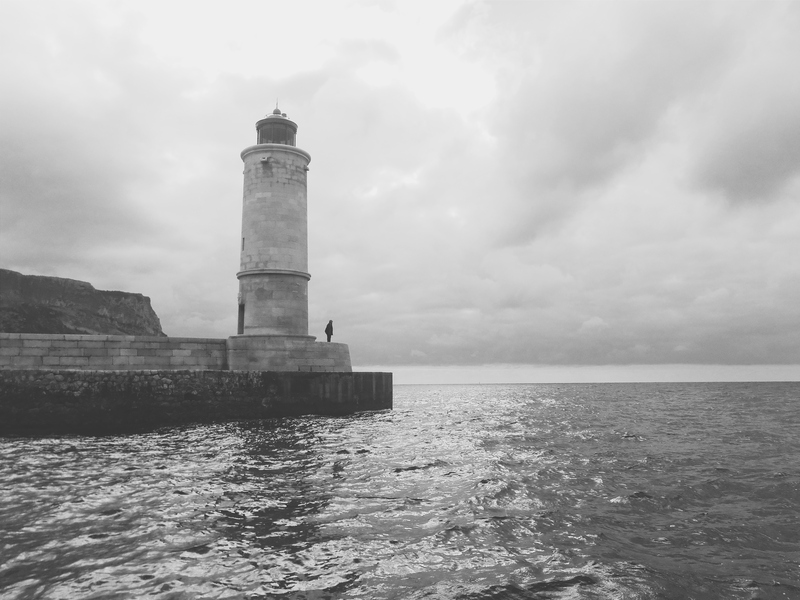 If you are a regular reader of this blog you might remember that we have had a couple assigned to us from the couples school by the branch office. They have just received word that they will be assigned to our congregation as Special Pioneers. The congregation is quite excited about this and no doubt Jehovah has many good things ahead in store for them as well as the hall. Only time will tell. Well, as we begin the new year we look forward to all the exciting developments as we continue to work hard in our part of the territory. We hope that you are all well and that you are staying busy in Jehovah’s service! Oh love this entry! Cause I get to see everyone’s beautiful faces!!!! 🙂 Ya’ll look so great! I was actually going to mention the layout and that I liked it and there you mention it in your last paragraph! Mom got a chance to see your pics and she said you’re looking more like your mom Kanicia, lol! Glad you like the new layout! I heard that a lot in France, ‘you look like your mom!’ 🙂 say hi to your Mom for us! I’ve loved the pictures and the narrative. Thanks for sharing your feelings and experiences. ? This was so nice. I really enjoyed the pictures as well. I liked the idea of the Durango congregation having a meal before the meeting. Sounds so warm and inviting. I have been having trouble getting out the ministry. I am able bodied and can do much more. Your stories are very encouraging and plan to get out on Saturday! Hi Kids, I really appreciate your blog. It is so upbuilding and I appreciate that you are spending your youth in doing a work that will never be repeated. I am glad for you. I am slow, are you in the English or French? I think English? Where ever you are, if you are doing Jehovah’s work you will be happy and appreciated and loved by all. Keep up the blog. I love it. Almost like I am there, too. Wonderful photos they are professional. It was also so wondeful to see Kabina and Kamila. You all have such wonderful smiles. Hi Shelly, we are happy that the blog is upbuilding. It is great to be able to spend one’s time supporting kingdom interests. 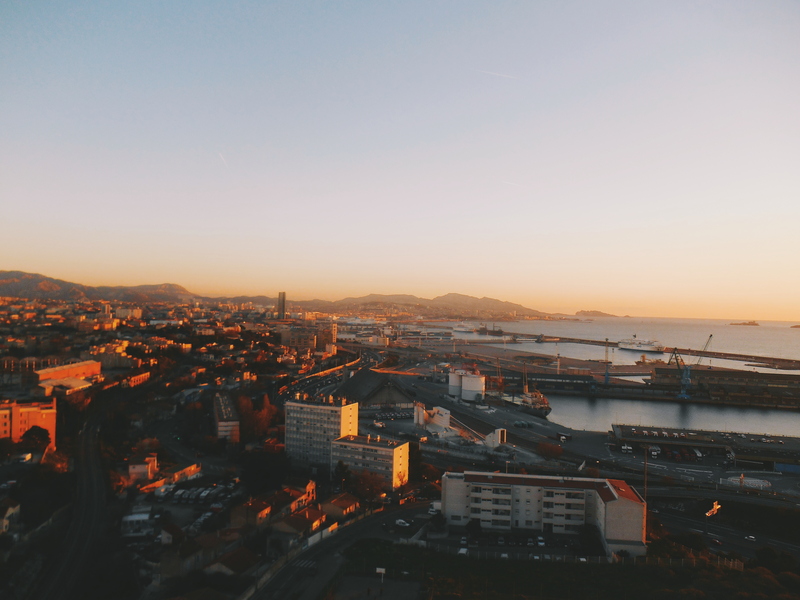 We have been serving in an English congregation in Bilbao since January 2014. We send our Christian love!